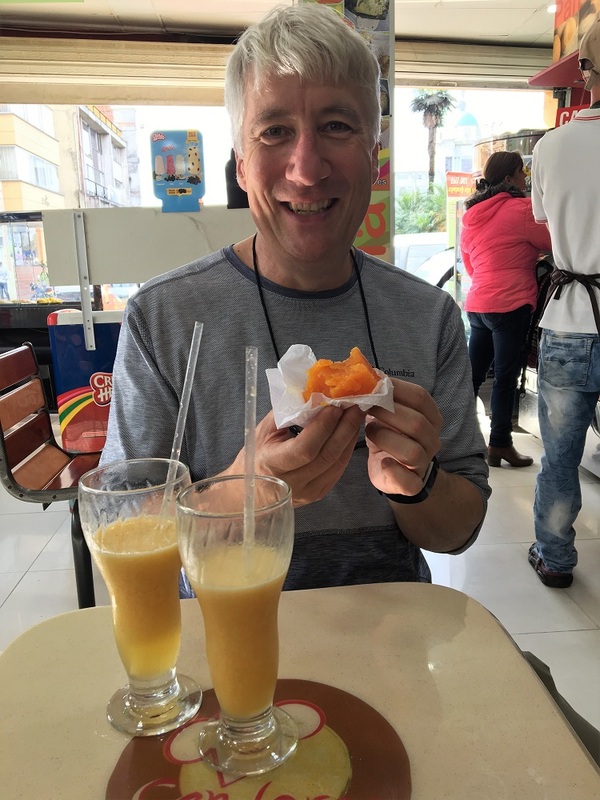 Why did we choose to do this trip in South America? 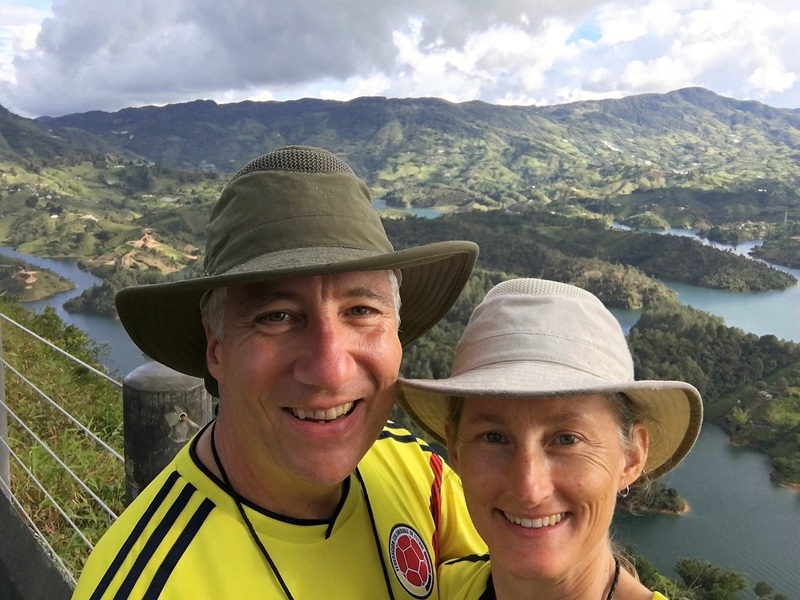 To leverage Kacia’s Spanish so we can get to know our fellow Americans to the south, and to experience the incredible landscapes. 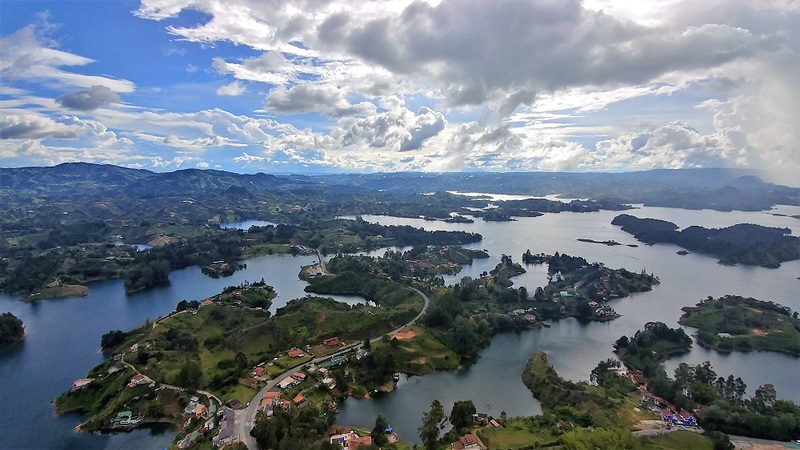 Colombia is shaped by plate tectonics, erosion, volcanoes and glaciers, as is the Pacific Northwest of the U.S where we call home. 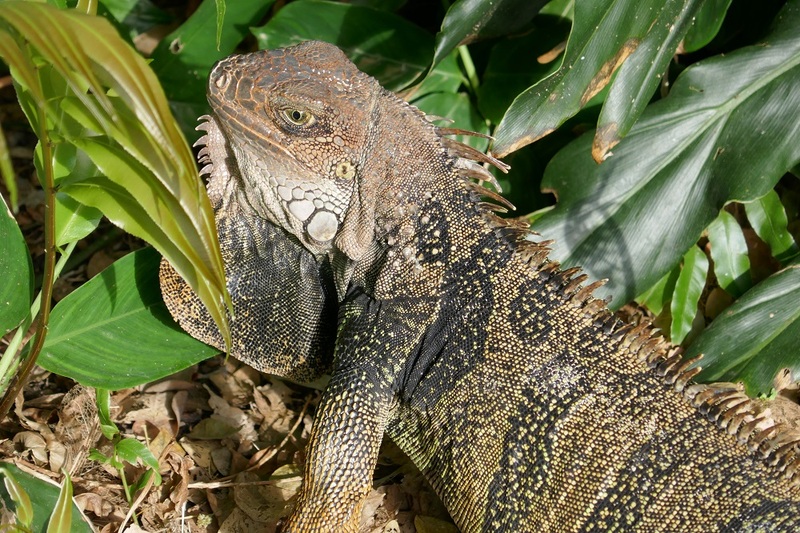 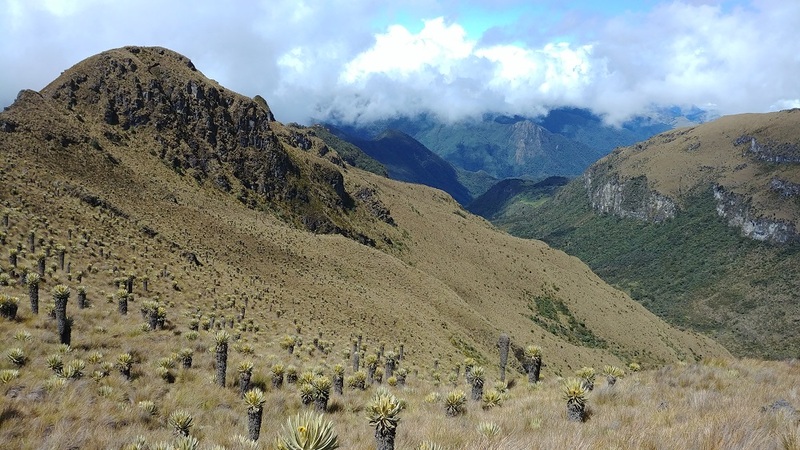 However, Colombia’s ecosystems are very different from what we’re familiar with. 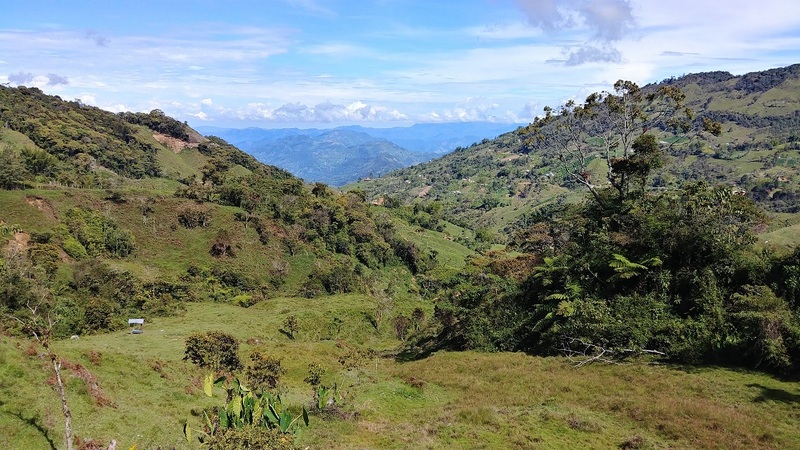 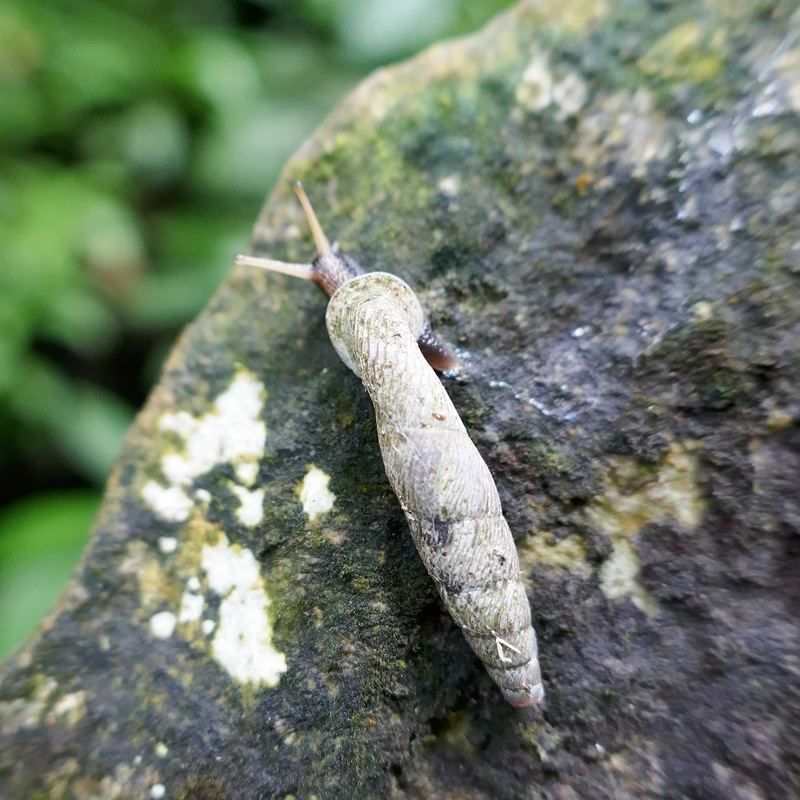 We’re drawn to the mountains, so we’ve been roaming the higher-elevation terrain of Central Colombia (we didn’t visit the coasts or the sparsely populated Amazon river basin). 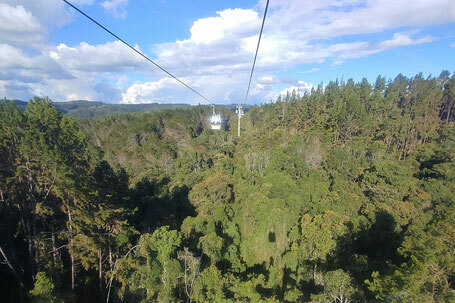 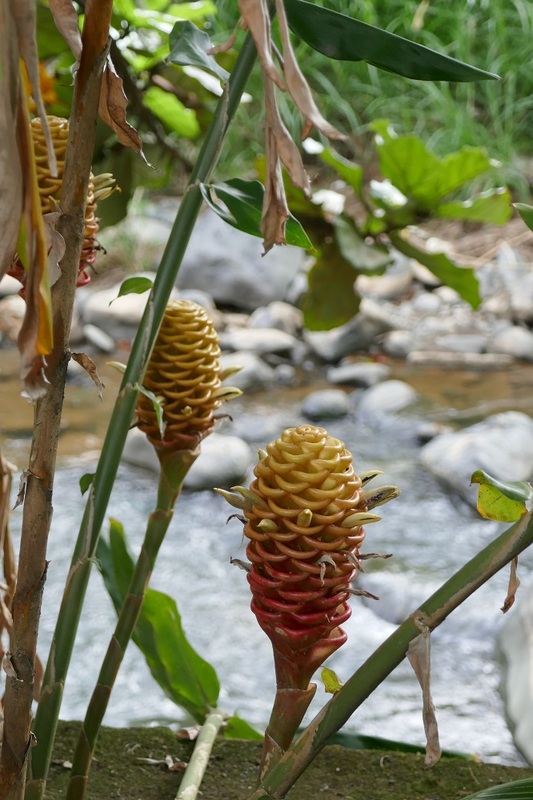 We have been surprised by the lush, tropical vegetation that covers the slopes at high elevation. 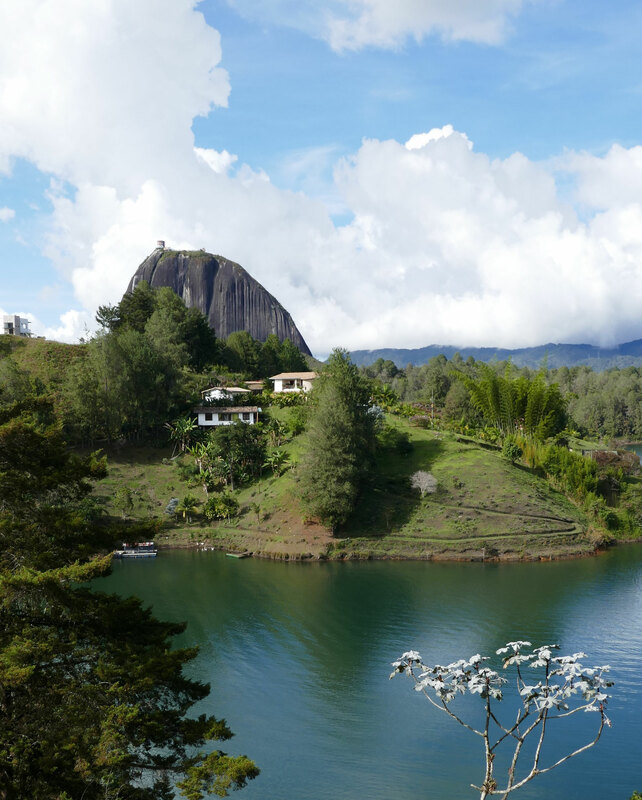 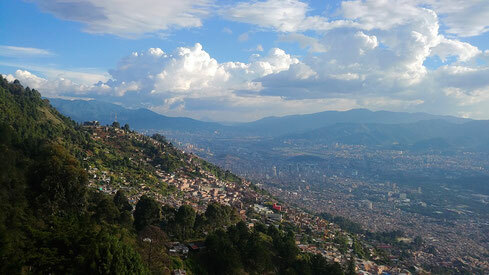 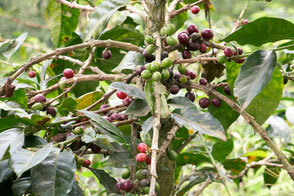 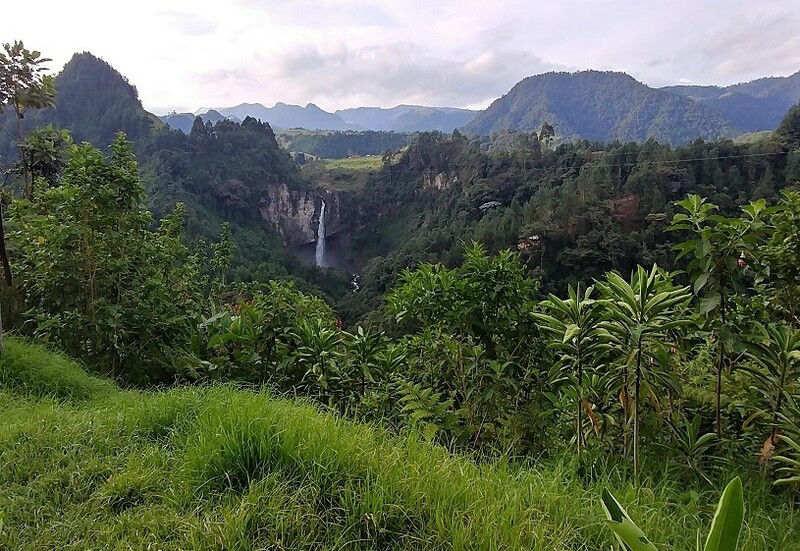 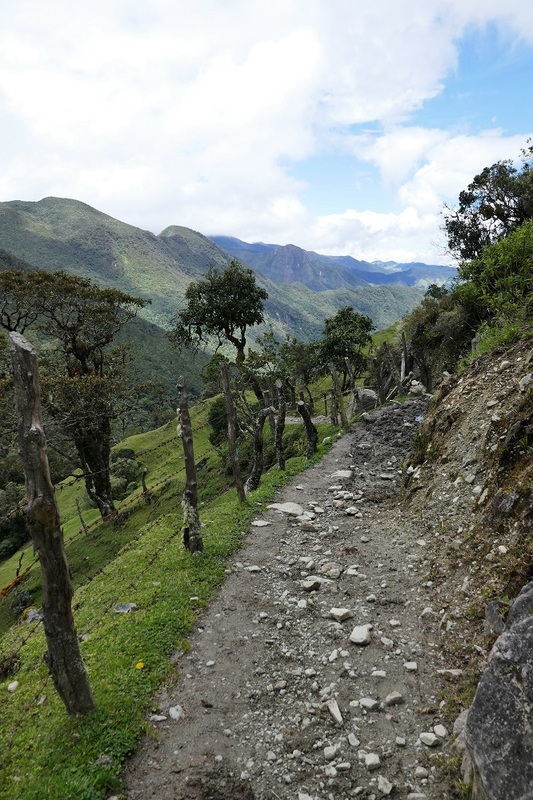 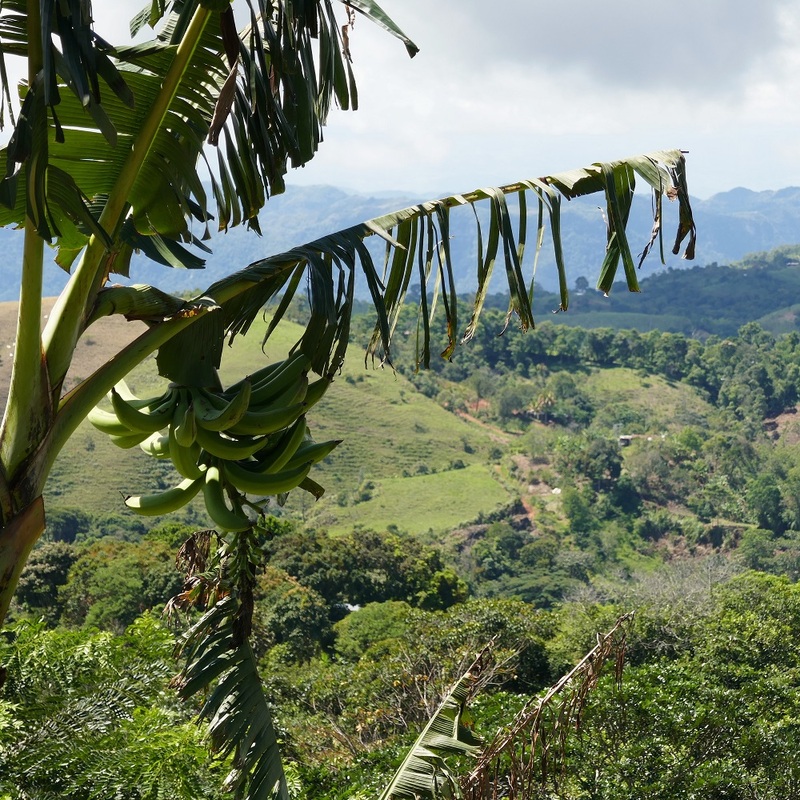 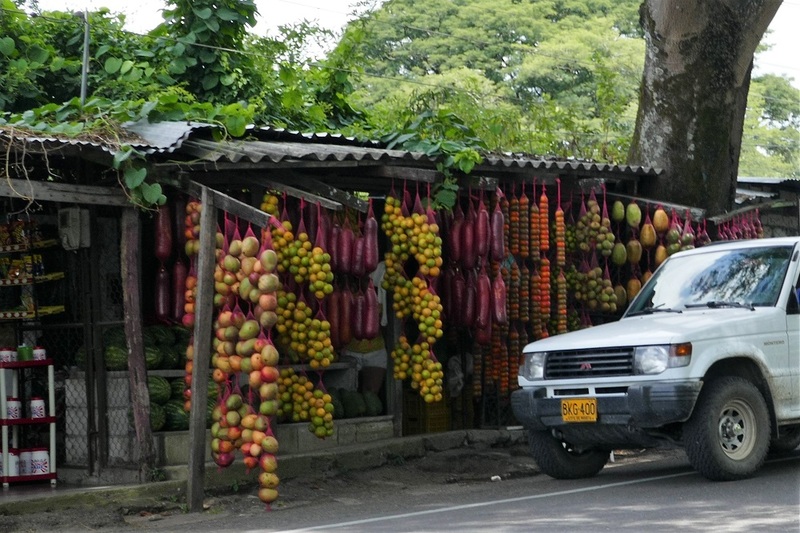 Crops of banana, mango, papaya, passionfruit, and soursop grow thick at elevations well over 2,000 m (6,600 ft). 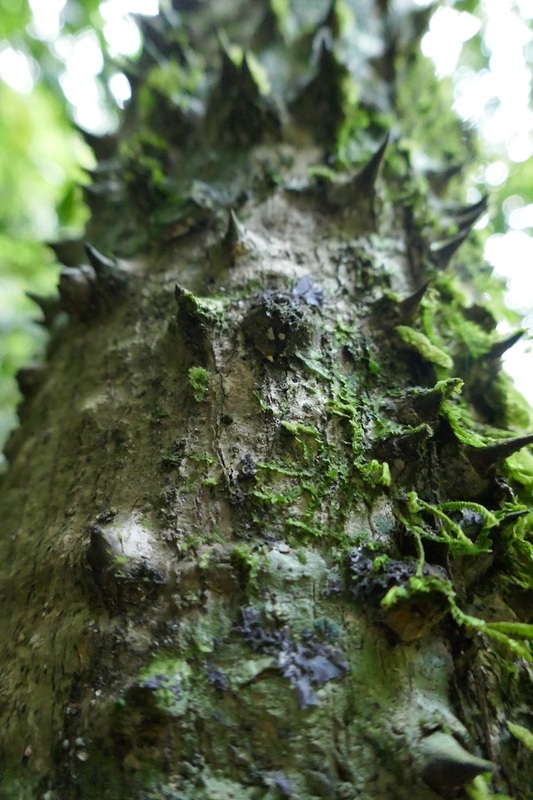 In Oregon, trees don’t grow at elevations over 6,000 ft. 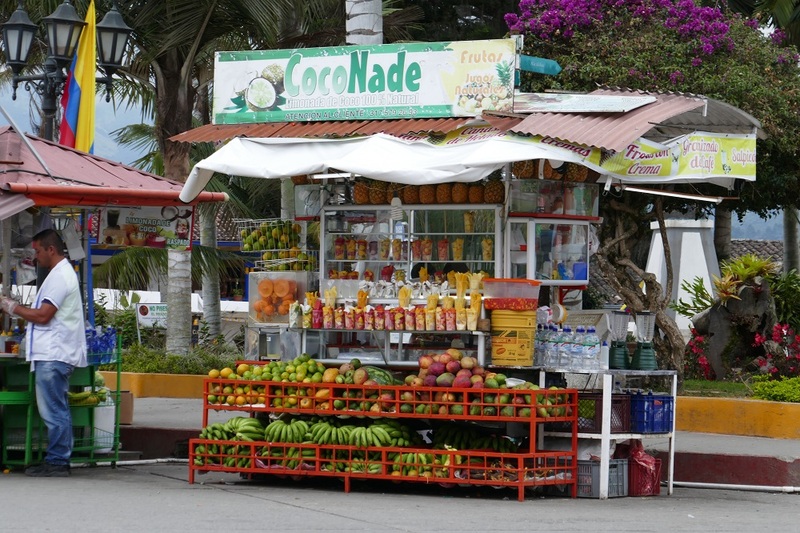 Here in Colombia, at all elevations, fresh-squeezed fruit juice is included with the meal at every open-air roadside restaurant and sold from push-carts along the road. 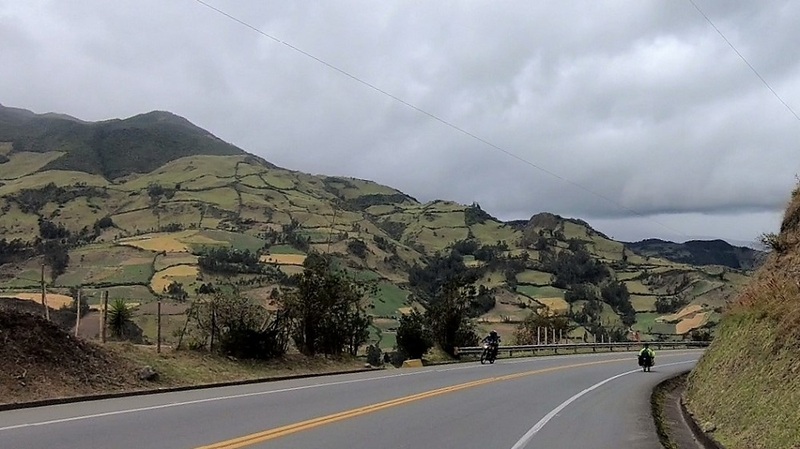 Colombia lacks the seasons that we are familiar with up north. 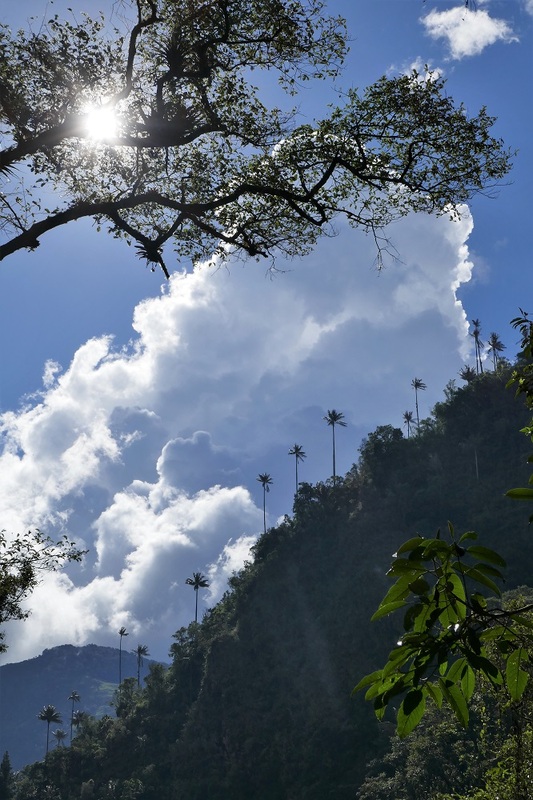 Being so close to the equator, the temperature is warm and constant year-round. 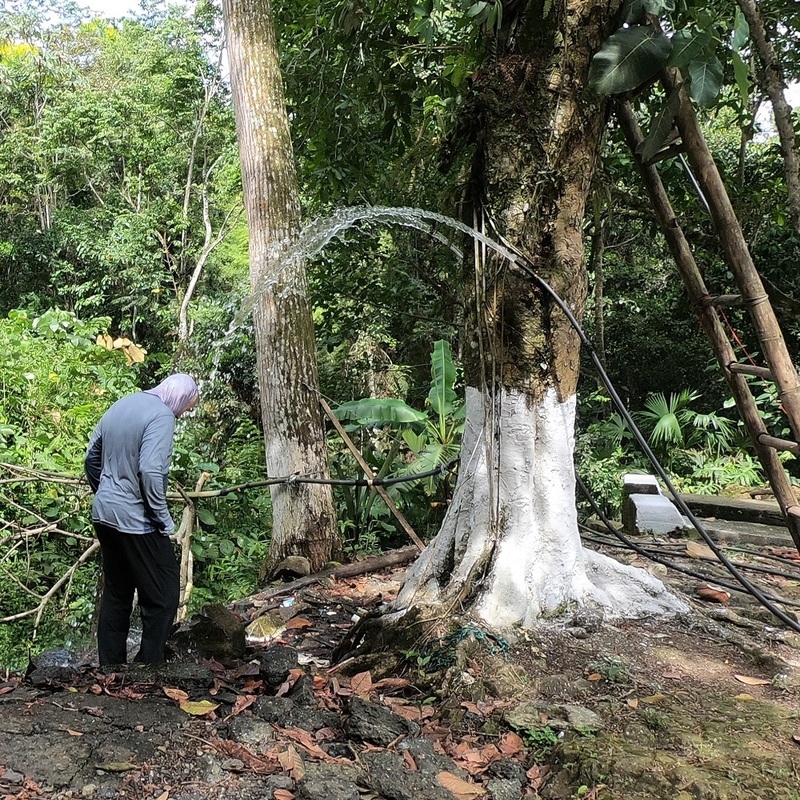 The locals tell us that historically they had distinct periods of wet and dry, but the climate has changed noticeably over the last 10 years or so, becoming more uniformly wet throughout the year, without the dry periods. 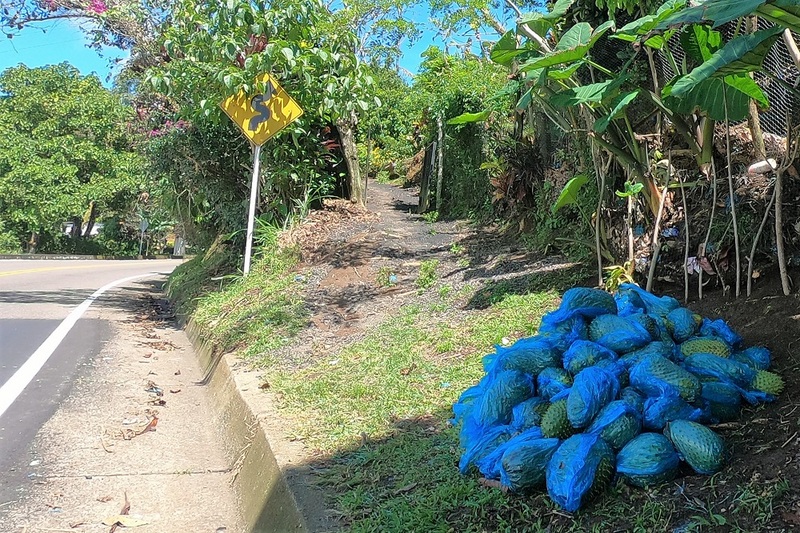 So now they appear to be in a constant state of harvest (and replanting for non-perennial crops). 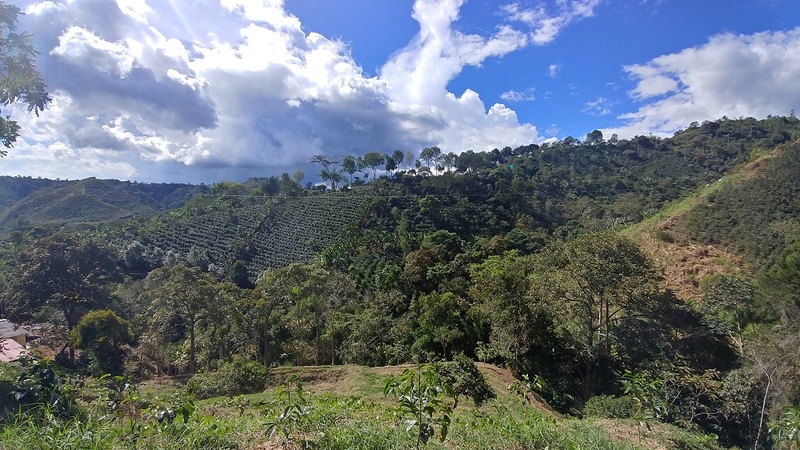 A coffee farmer in the cafetera region told us they used to have two big harvests per year, but now they pick the ripe fruit from each tree every 20 days, as each tree now has all stages of growth from blossom to ripe fruit at all times during the year. 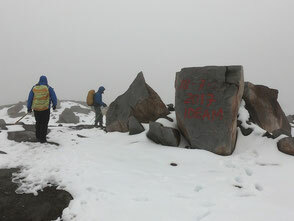 In other signs of climate change, our mountain guide showed us multiple marker rocks indicating how far the glacier we hiked to had receded in the past 10+ years, with the dates painted by local scientists. 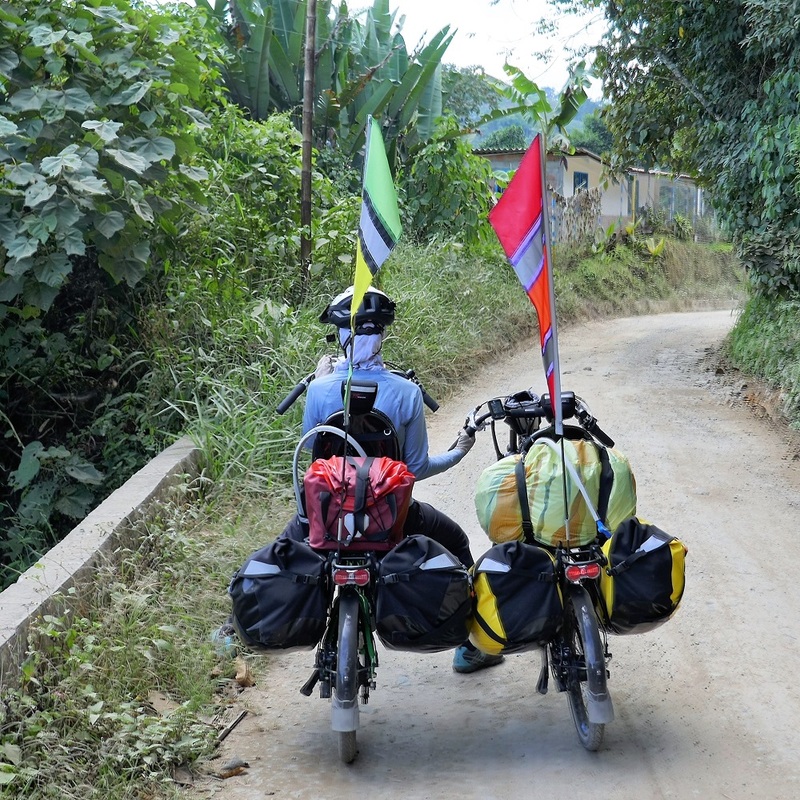 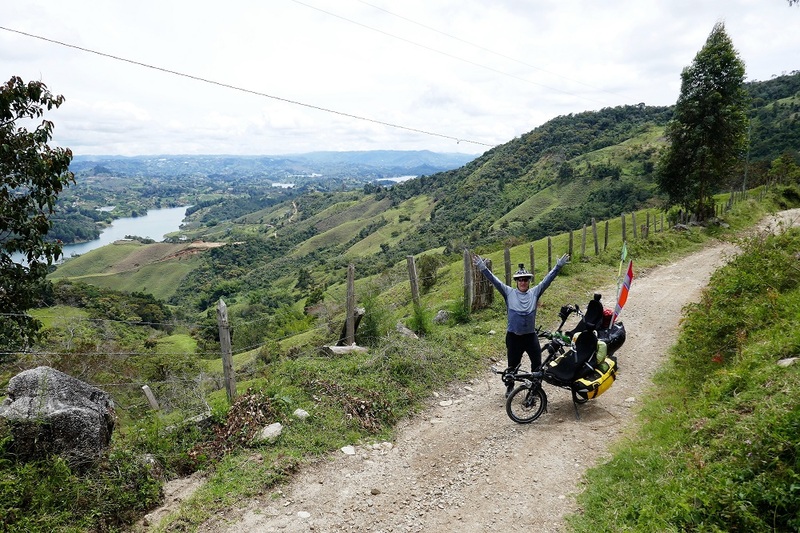 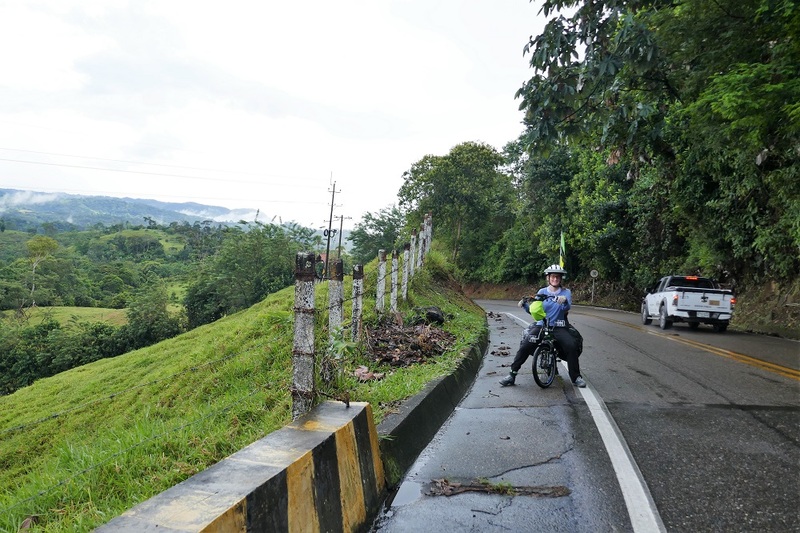 Our route from Medellín to southern Colombia passed through some beautiful country. After climbing out of Medellín, which sits in the bowl of a high valley surrounded by higher mountains, we road through Parque Arví, Medellín’s huge public park and land conservation area that is accessible also by overhead tram. 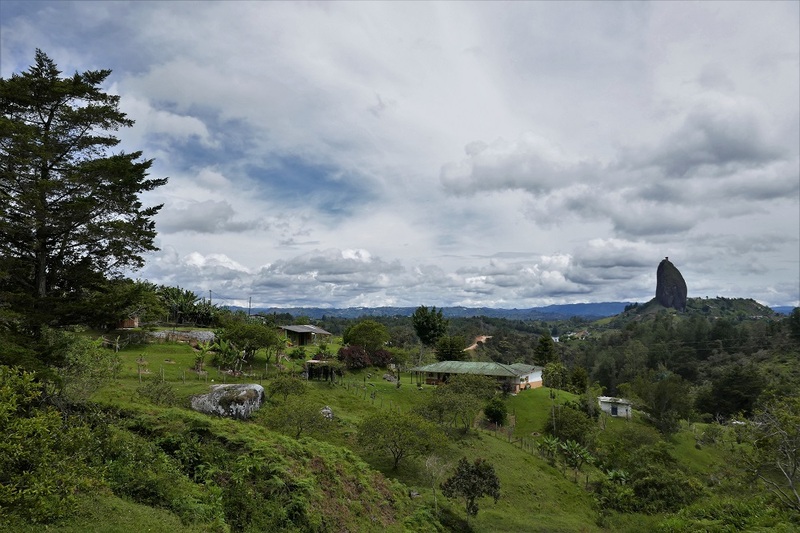 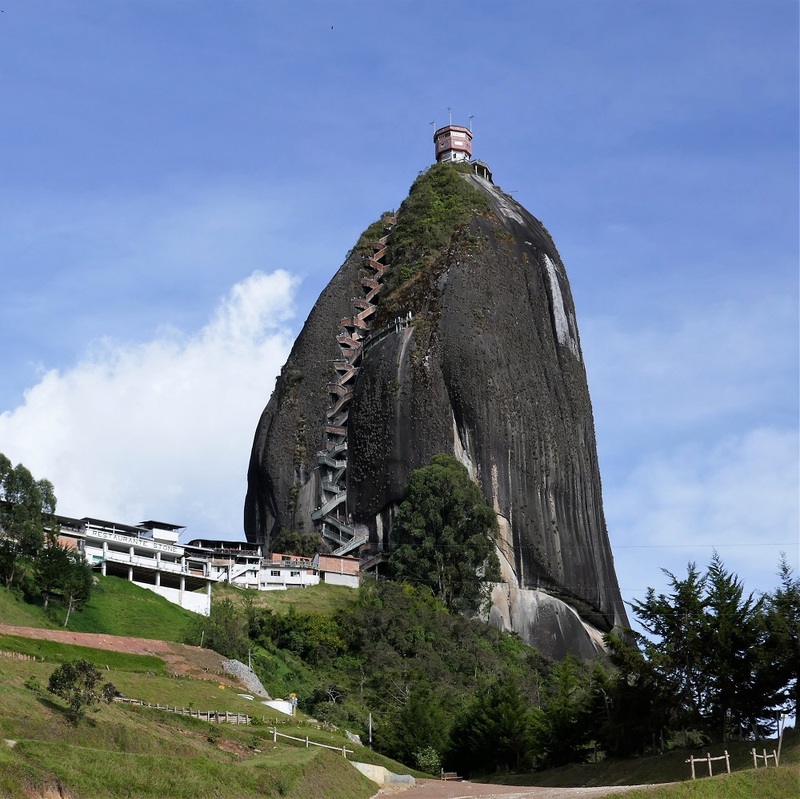 From there we rode to the national monument of La Piedra de El Peñol, a surprising monolithic granite dome that rises dramatically above the hilly countryside and reservoir that surround it. 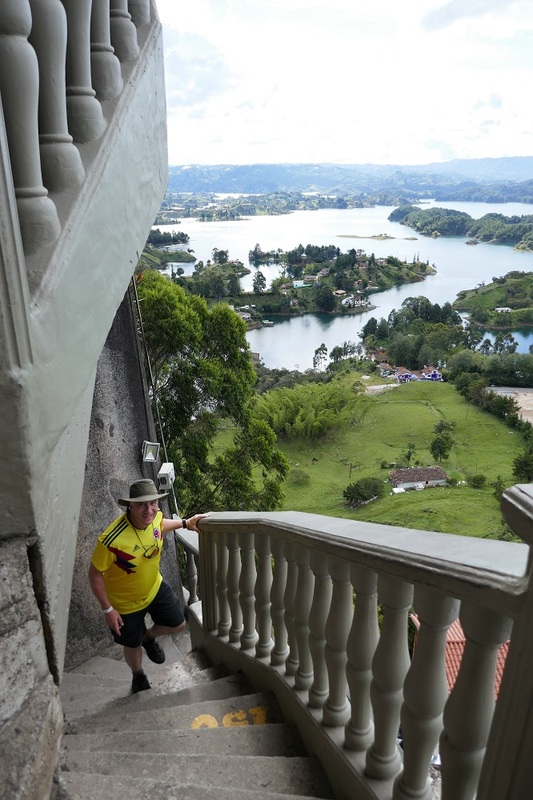 We climbed the 650 or so concrete stairs that have been affixed to its vertical face to the top for a fantastic view. 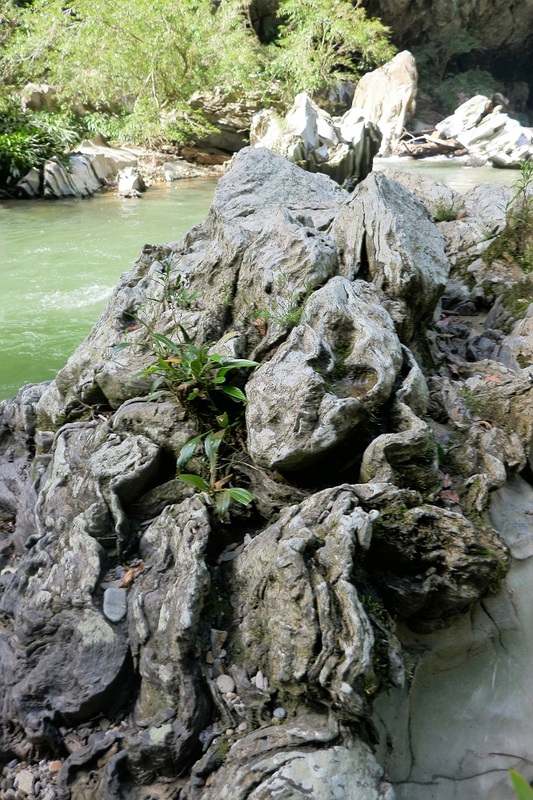 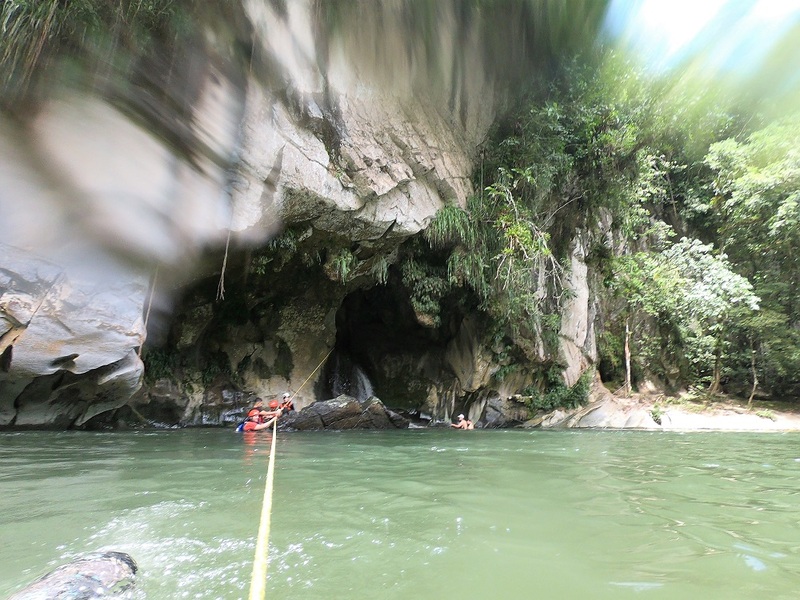 Next, we descended to El Cañon del Río Claro nature reserve, a beautiful marble and limestone remnant of an ancient inland sea, now carved by the river into a canyon with exquisite rock formations. 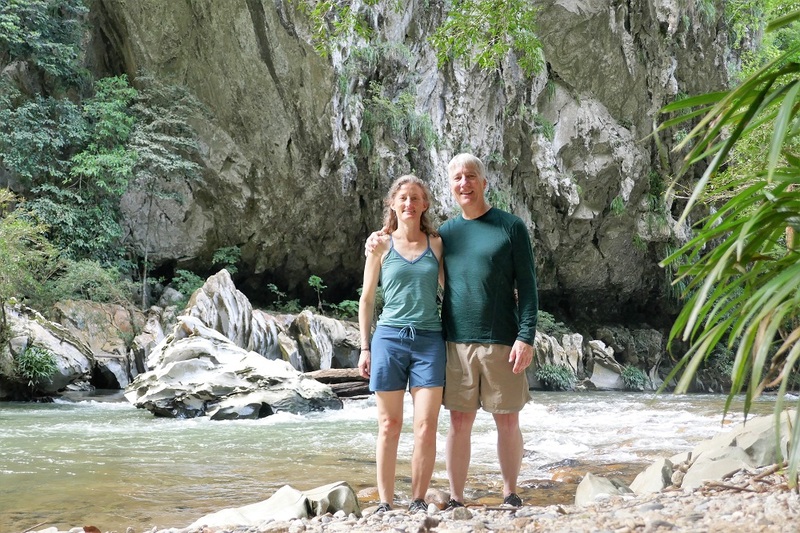 We hiked/swam with headlamps through a one km-long cavern filled with water running through smooth marble channels and deep pools, stalactites and stalagmites, and guácharos – large, loud nocturnal bat-like birds that nest high on the walls of the cavern. 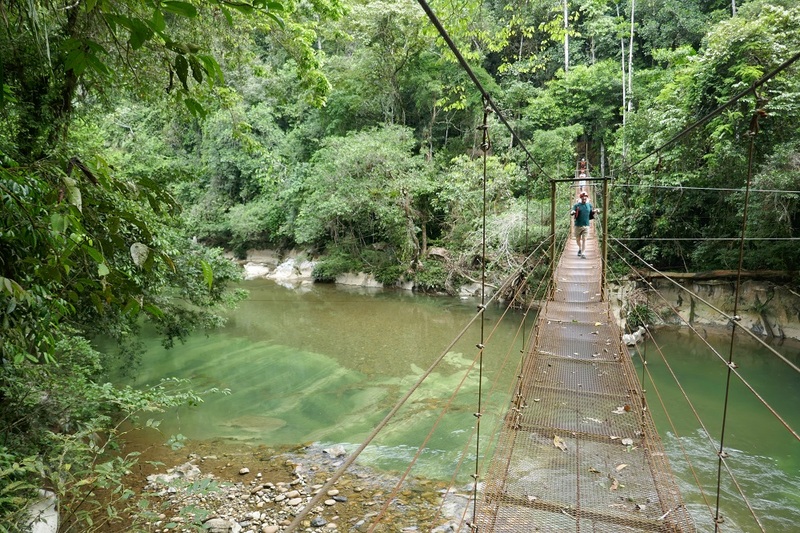 It was hot and humid, and the river was a welcome, refreshing treat for us. 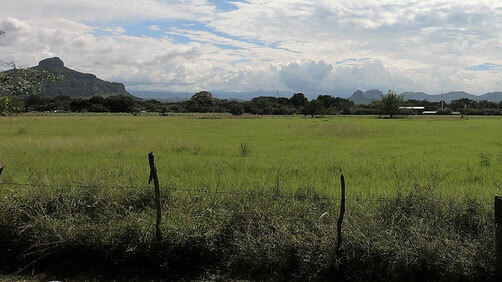 Then we entered the broad, flat valley of the Magdalena River between two of Colombia’s three mountain ranges. 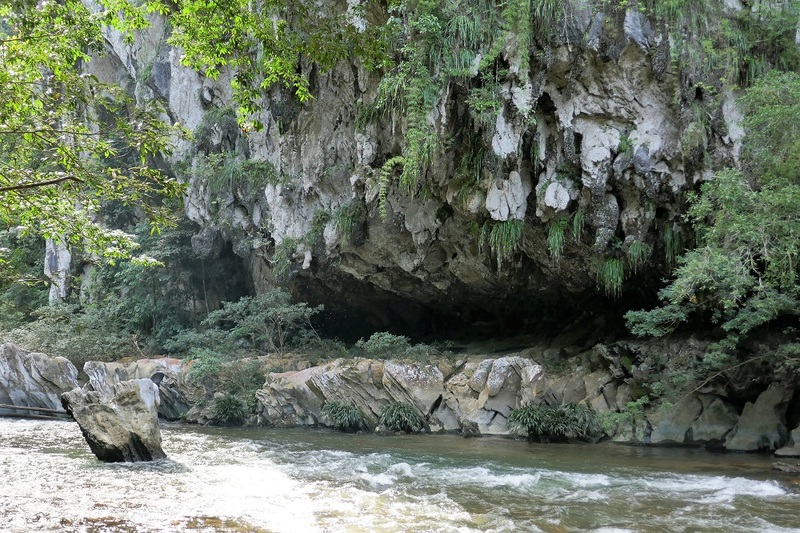 The lush valley was dotted with steep karst mounds, reminiscent of those we saw in Southeast Asia. 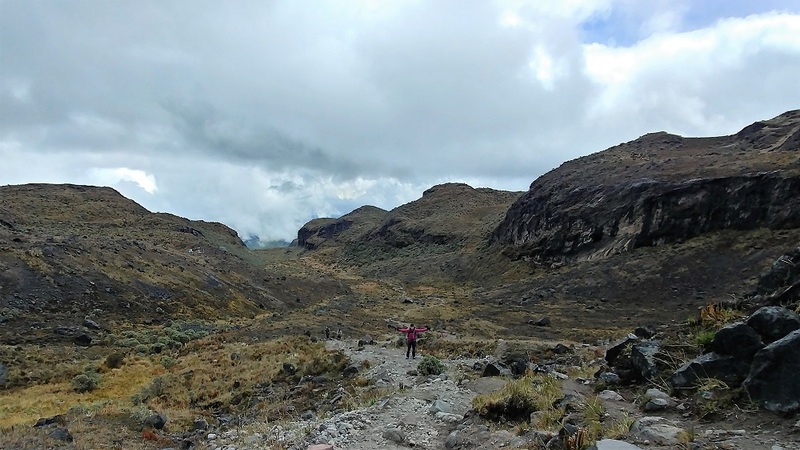 Sweating buckets in the humidity, we turned inland to ascend again to the high mountains. 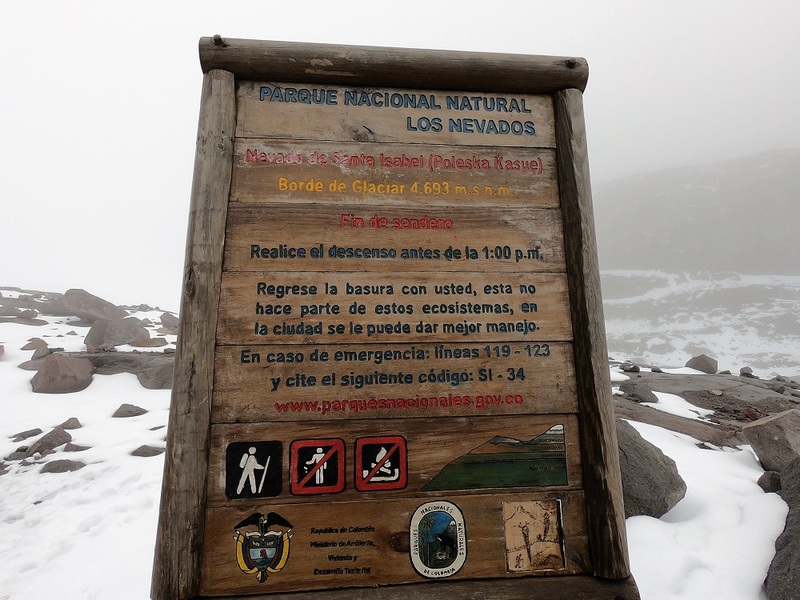 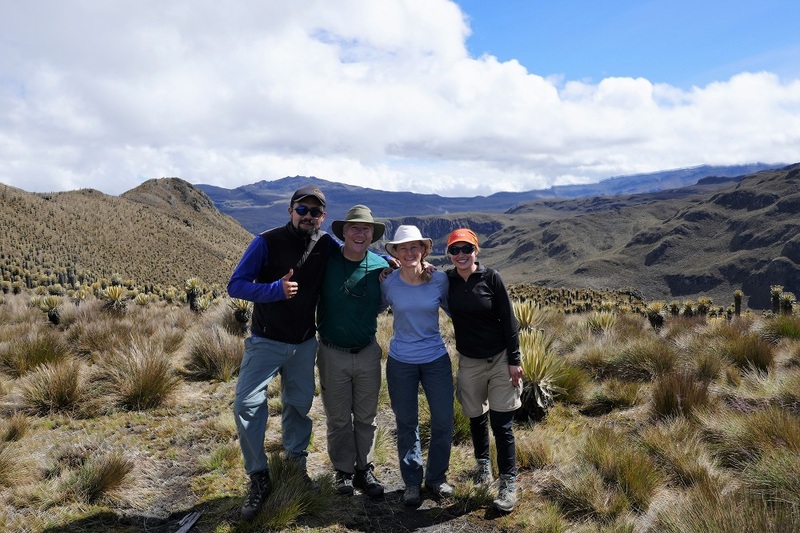 We embarked on a 3-day trek through Parque Nacional Natural Los Nevados – an area with multiple, snow-covered volcanoes (one of which is currently active) that are the source of 37 rivers and water for millions of people. 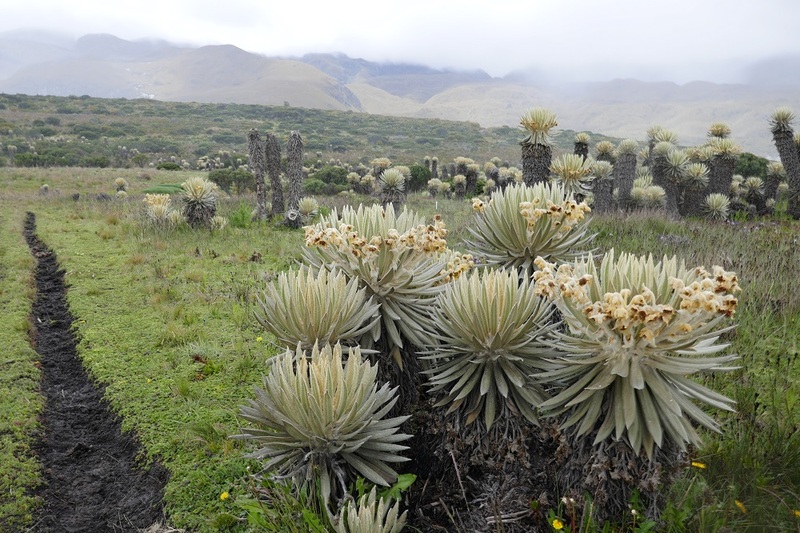 We walked through an enchanting high-altitude ecosystem which we had never experienced before: the “páramo”. 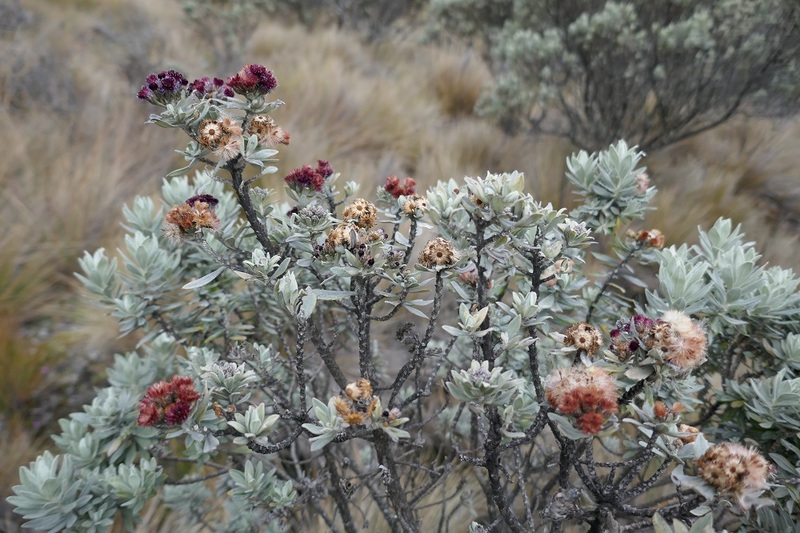 It consisted of clumps of tall grasses, flowering bushes, mounds of tightly packed colonies of green, hardy groundcover plants, and, most strikingly, the very unique frailejón plant. 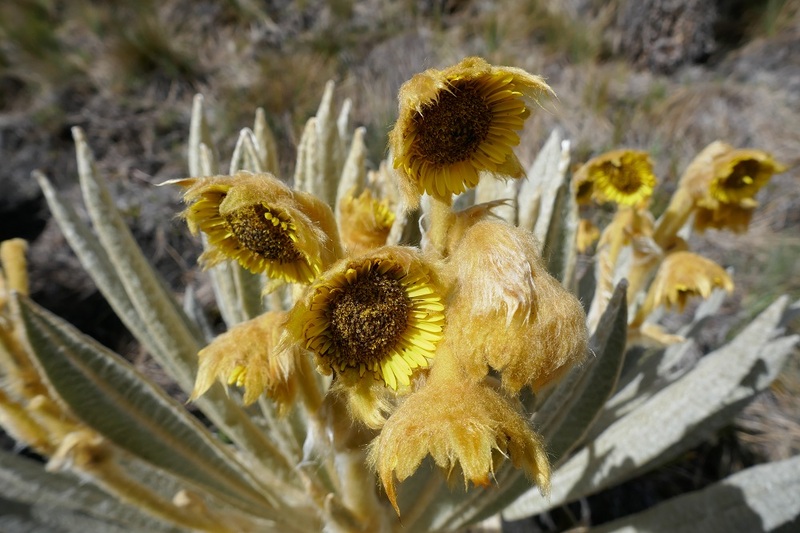 Apparently of the sunflower family, the frailejón has rabbit ear-like soft, fuzzy leaves that capture water from the clouds. 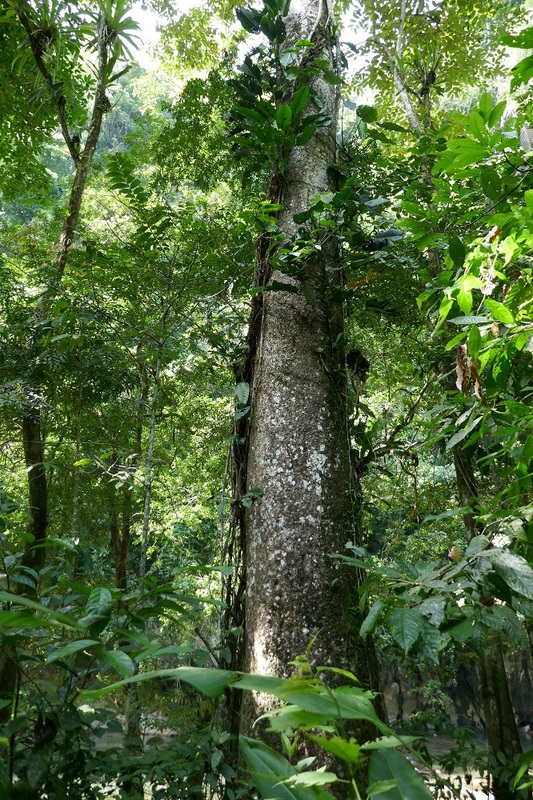 The water is stored in the plant’s thick trunk and later released through the roots into the ground. 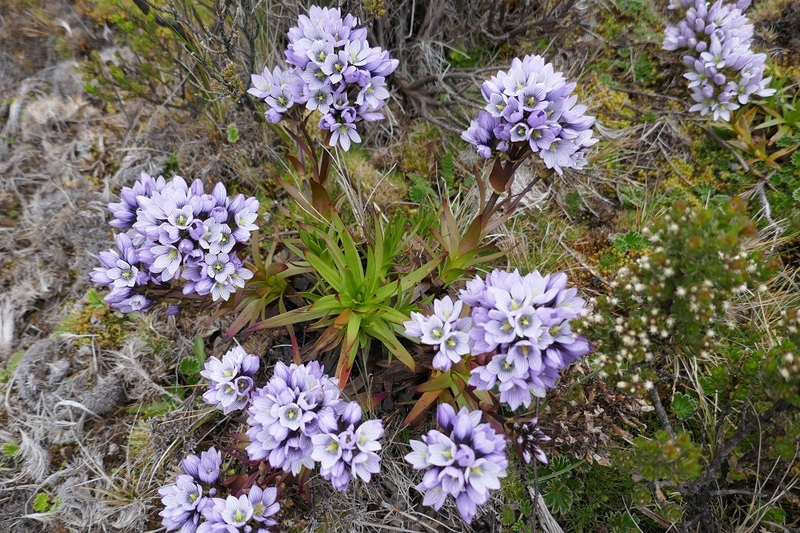 It grows in a thick, peat-like topsoil. 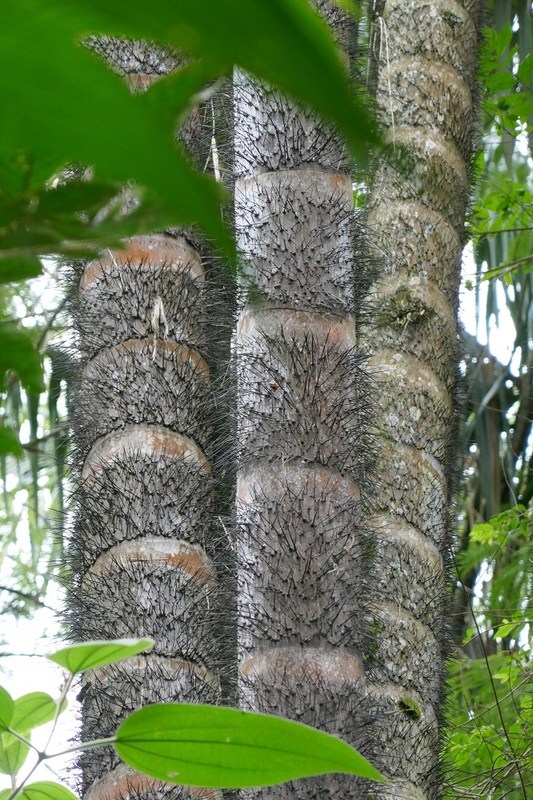 The frailejón plant reminded us of the saguaro cactus in the Sonoran desert, with its vertical shape, its dramatic sponge-like ability to store water, and its porous/braided woody core (visible after it has died). 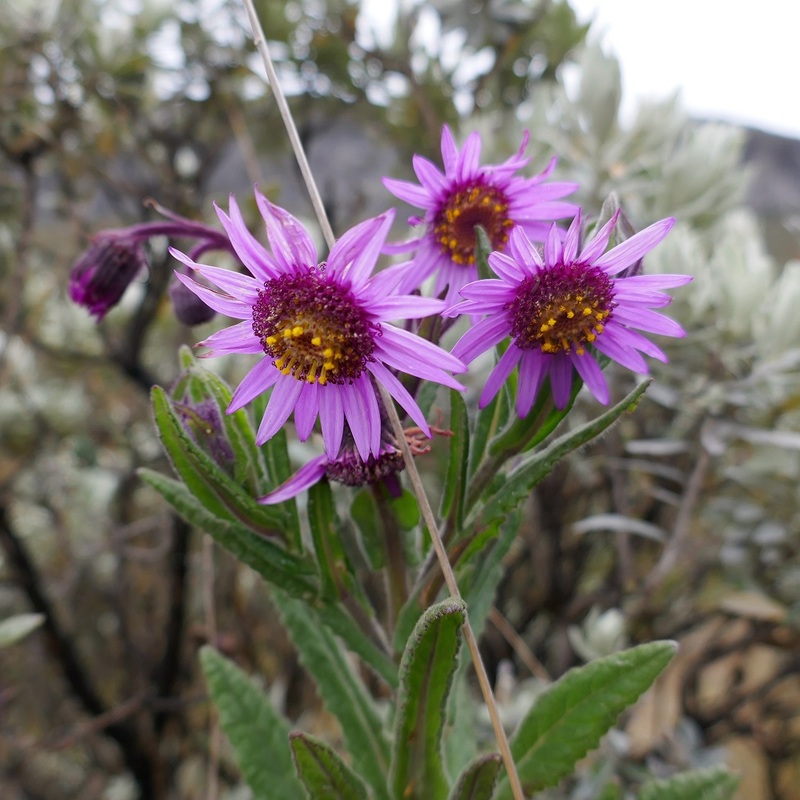 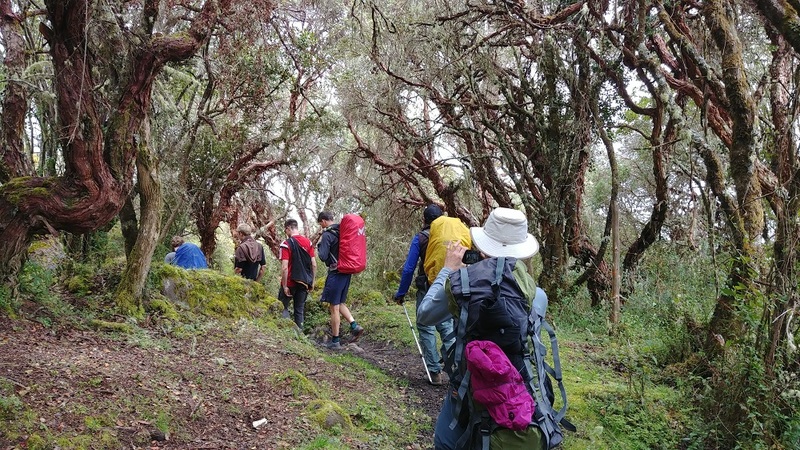 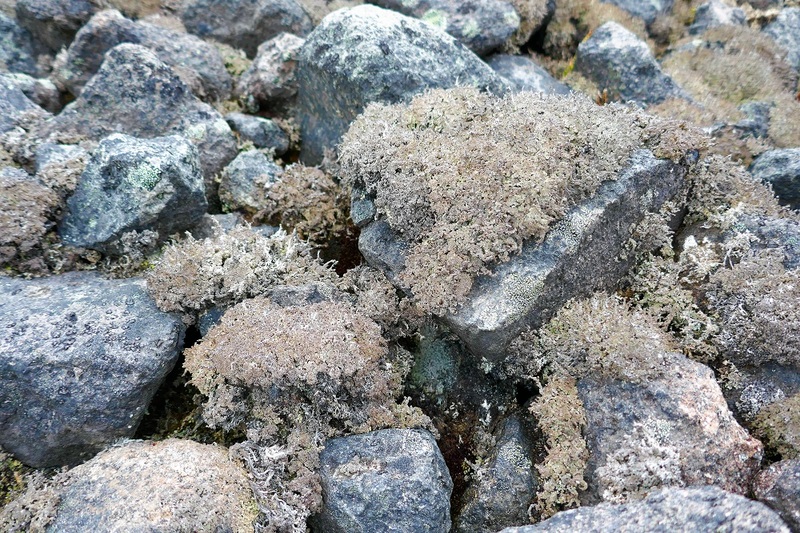 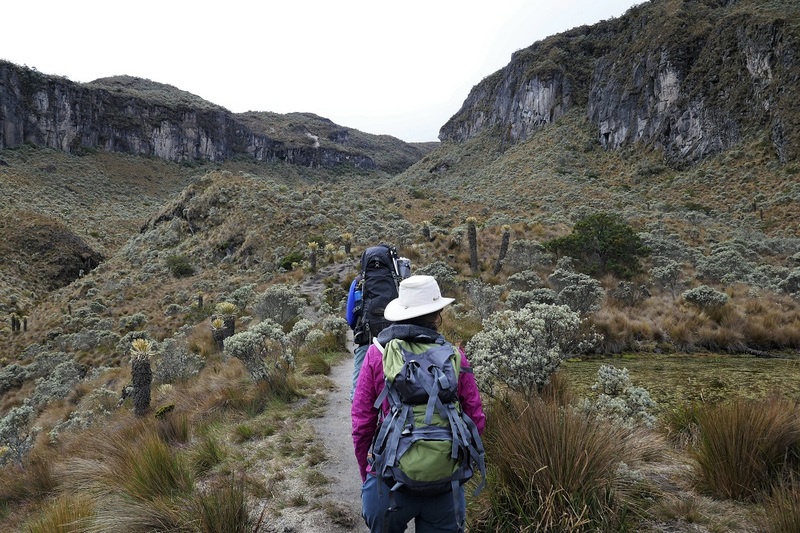 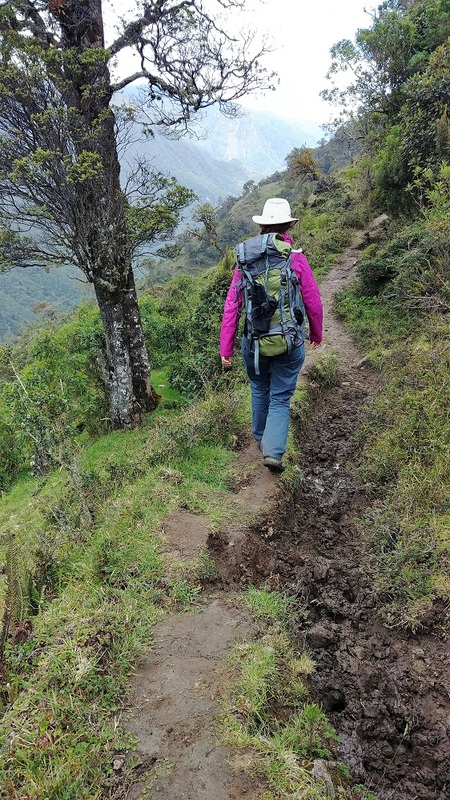 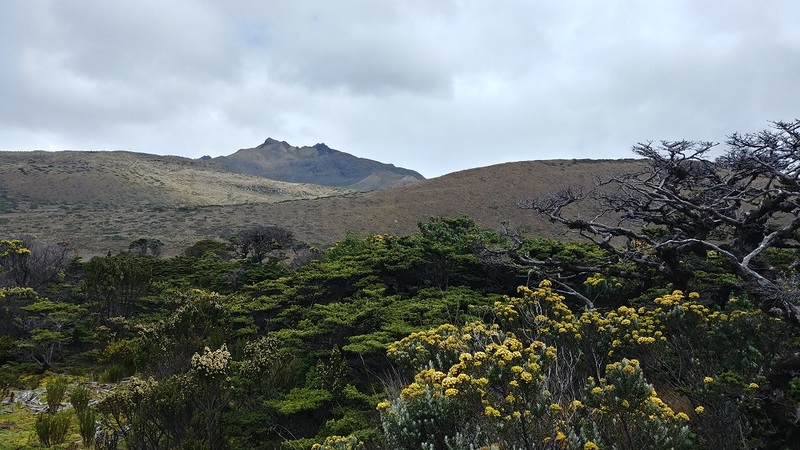 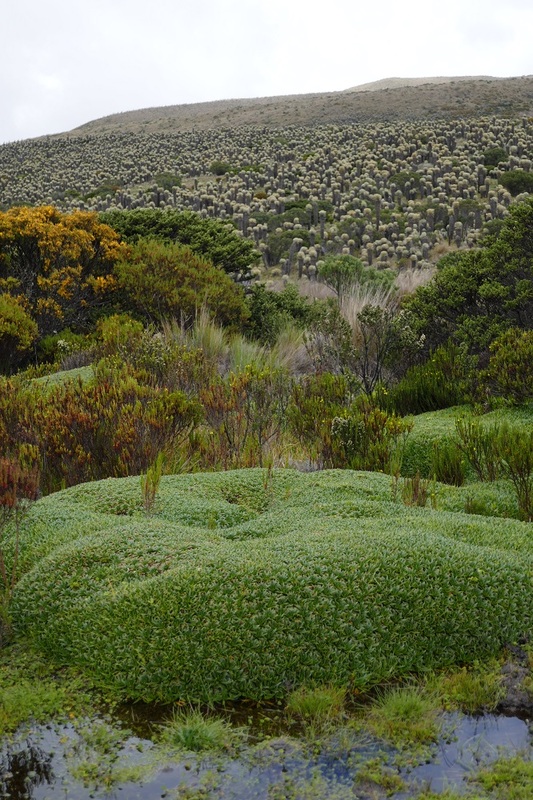 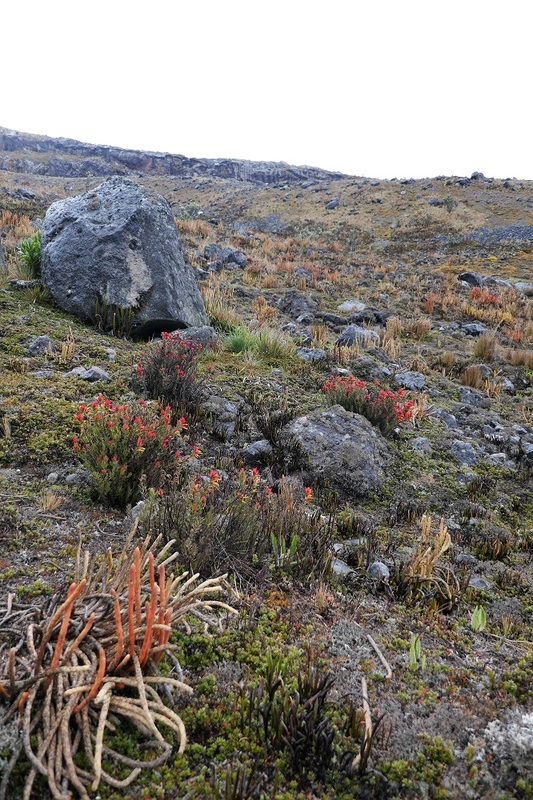 As we ascended, the páramo gave way to the superparamo, with rocks covered with large frilly lichens and dry mosses, and small flowering ground-hugging plants. 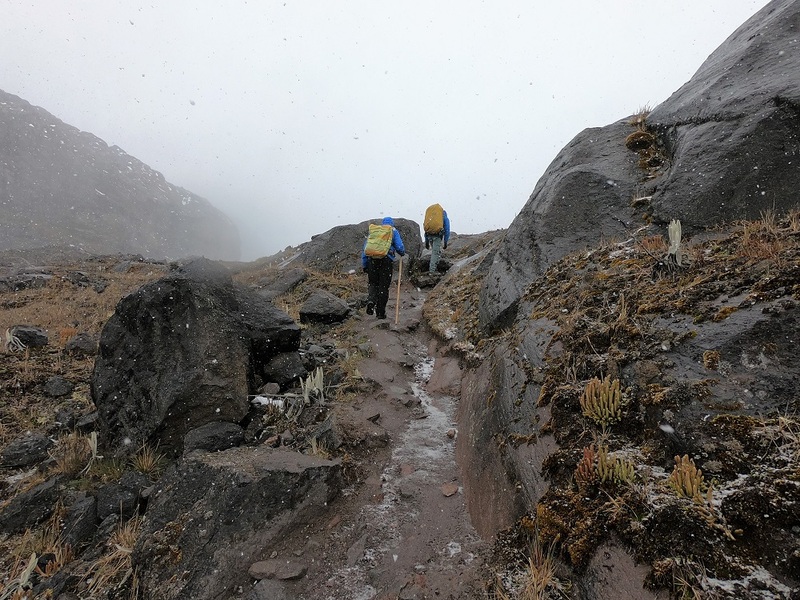 Higher up, walking in light rain and snow, we crossed rocks carved smooth by glaciers, until we reached the bottom of the Santa Isabel glacier, obscured by clouds, at 4,700 m (15,400 ft). 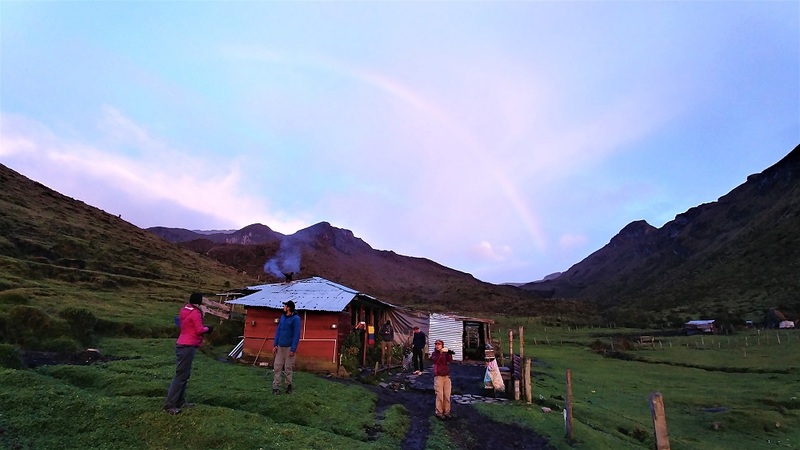 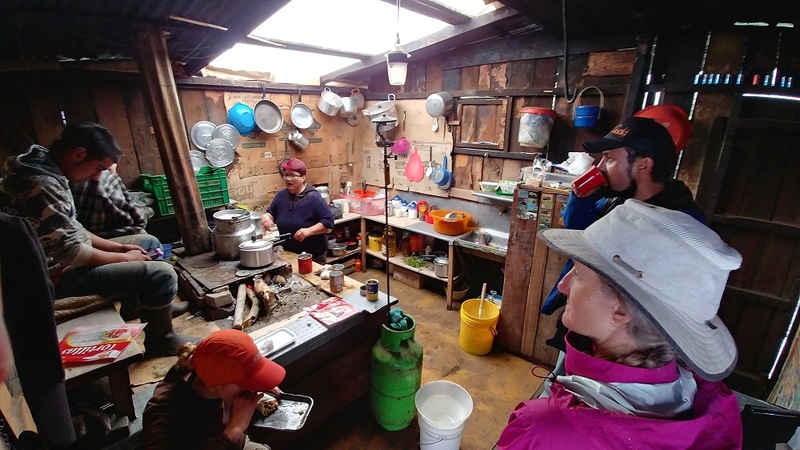 During the second night of the trek, we slept in the home of one of the farmers that have been grandfathered in to live in the national park and use it for grazing livestock. 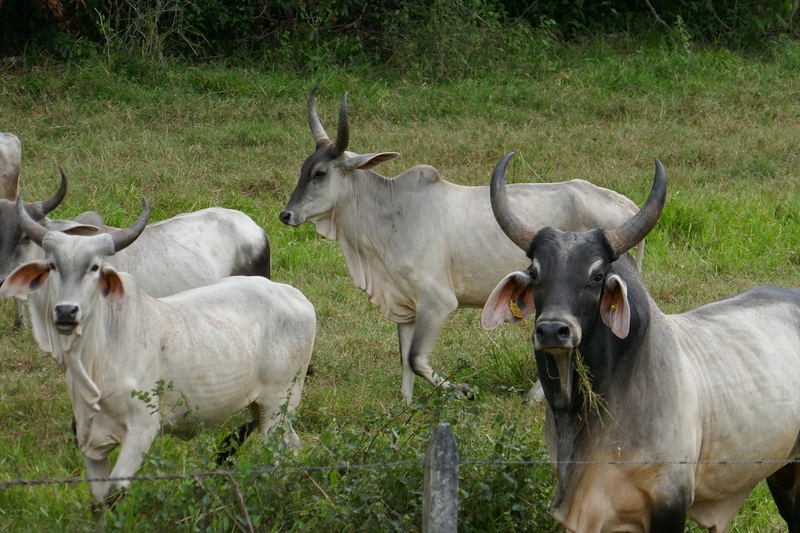 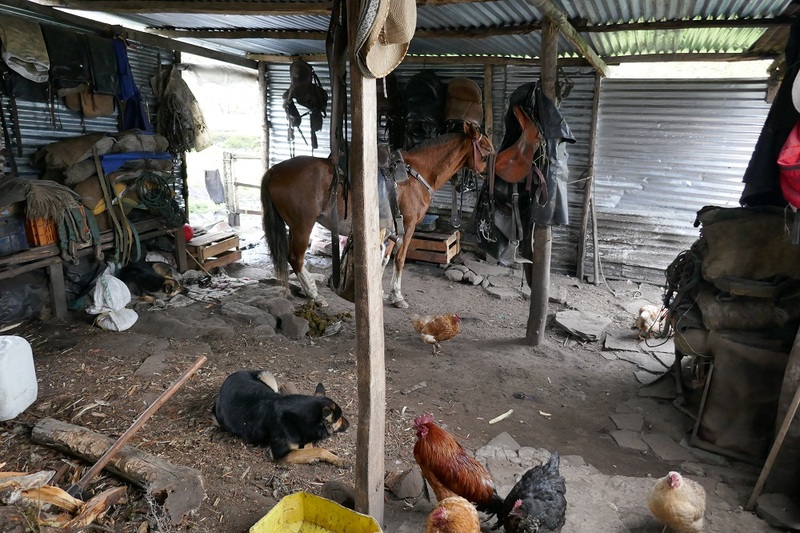 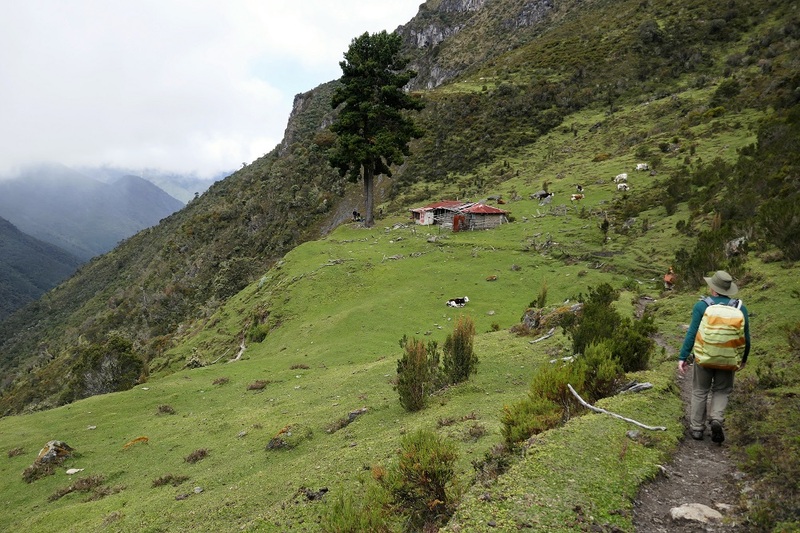 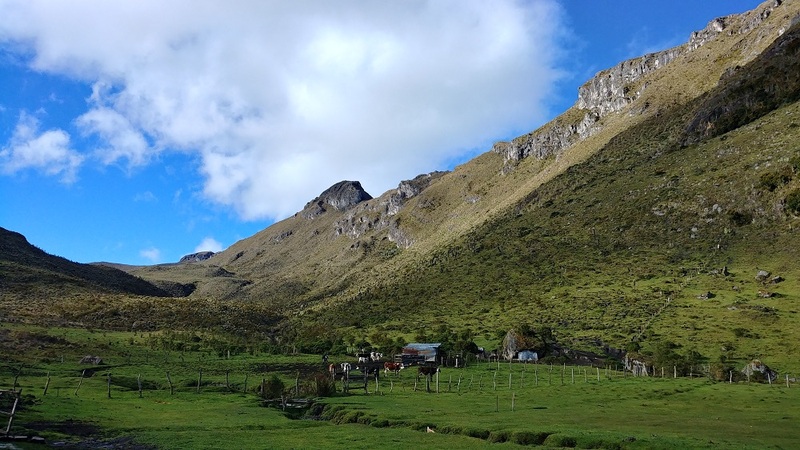 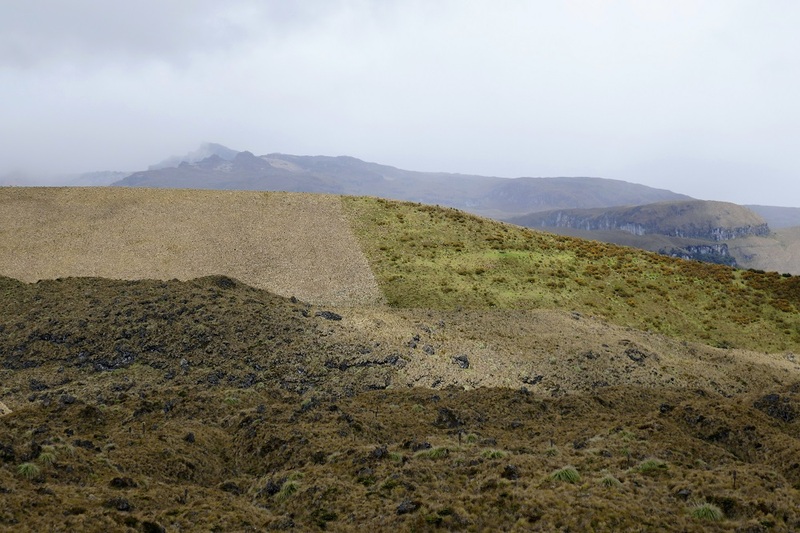 They live in a very remote (roadless), picturesque place, but the impact of livestock on the otherwise protected, fragile páramo ecosystem was evident. 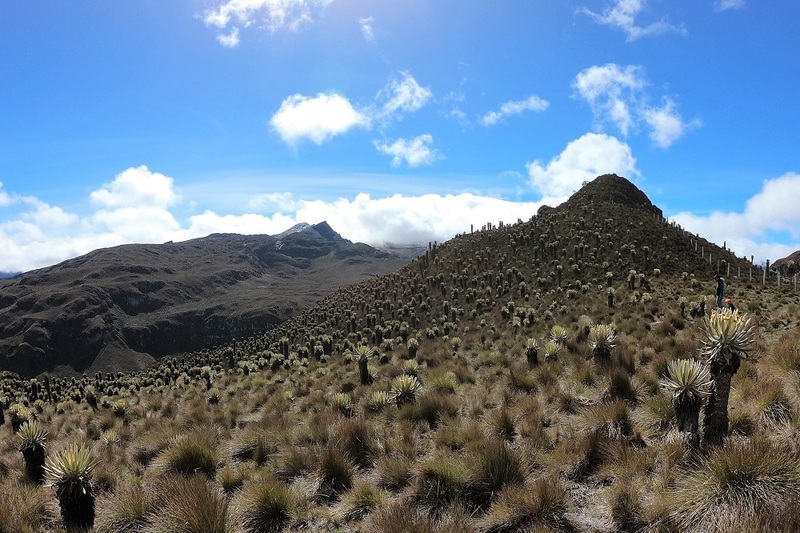 On the third day, we descended from the páramo at 4,300 m through multiple ecosystems back to 2,300m with tropical fruit trees, coffee farms and wax palms – Colombia’s national tree, the tallest palm in the world and the only one that grows above 2,000 m.
Note: This 2,000 m (6,600 ft) descent was epic. 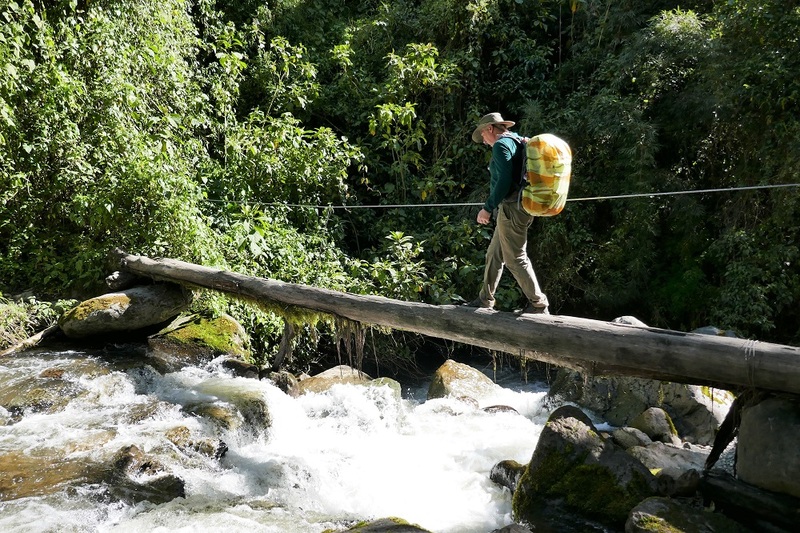 Clark’s bad knee caps had previously prevented him from hiking multiple consecutive days, and never would have survived such a descent. 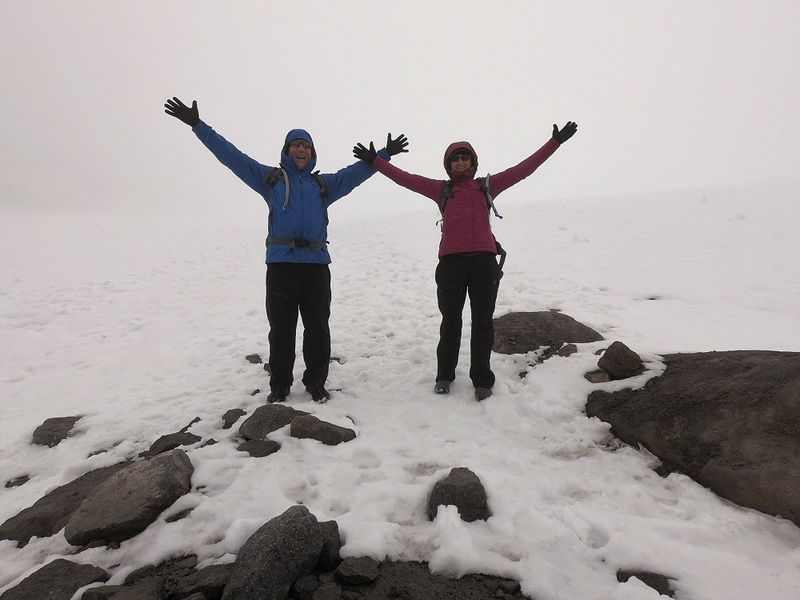 But his new knees performed miraculously! 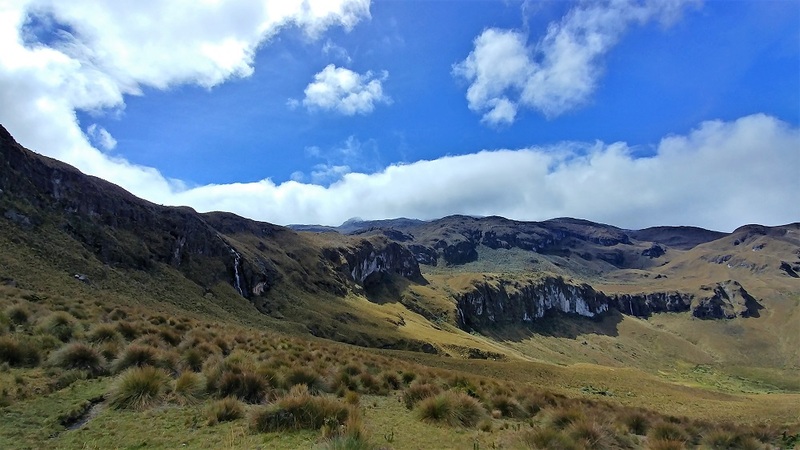 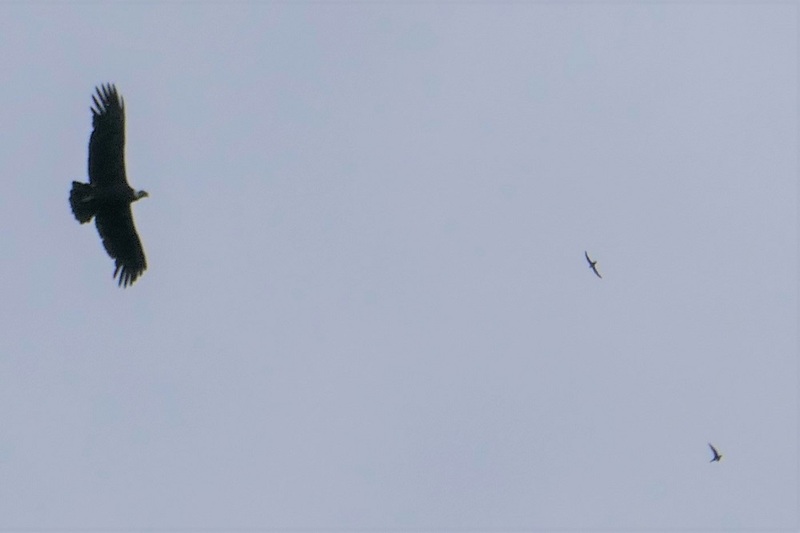 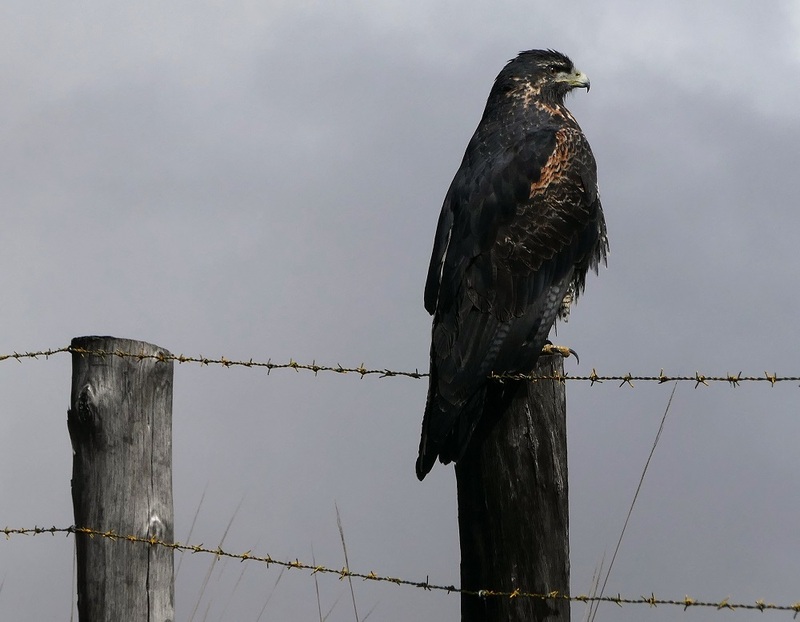 During the trek we saw three high-soaring Andean condors and numerous large eagles. 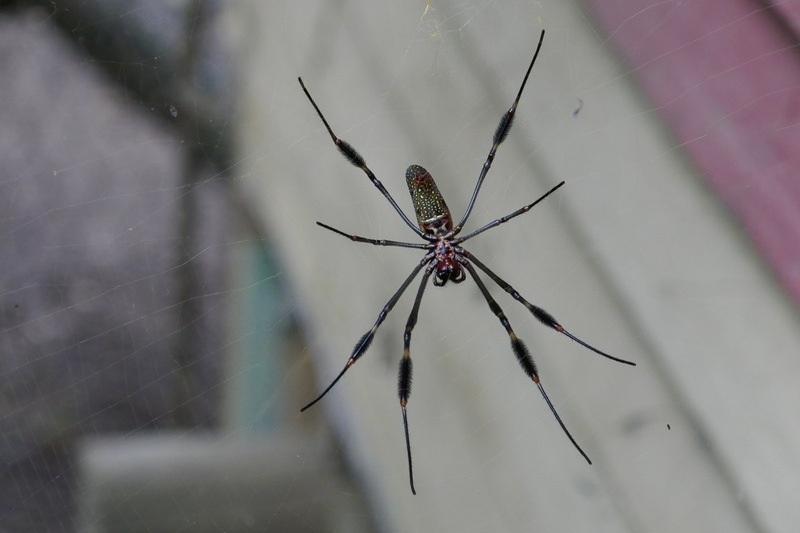 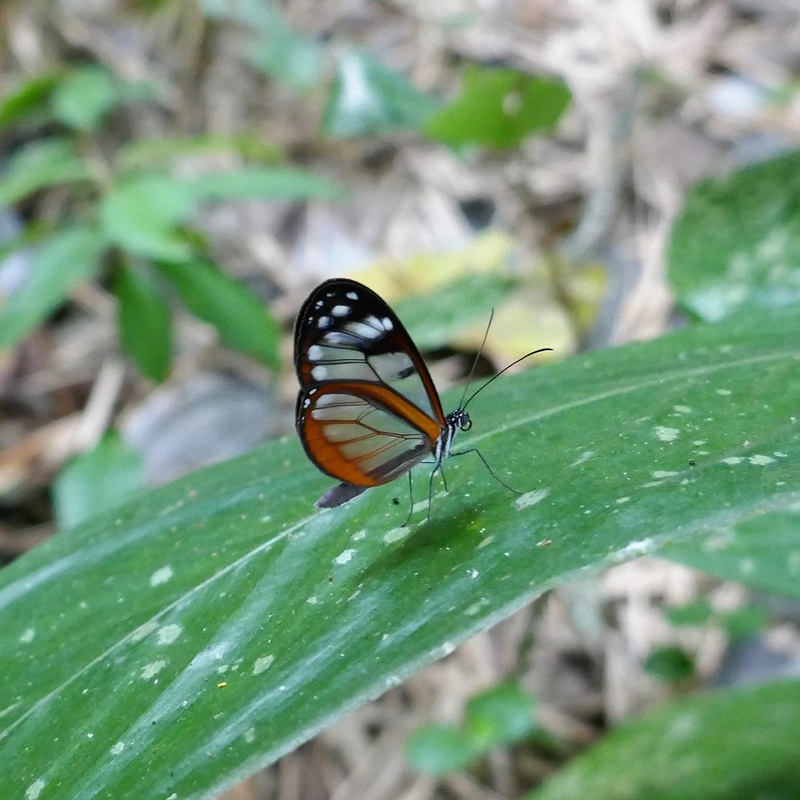 In the lowlands we had seen leaf-cutter ants, termite nests, spiders and some birds. 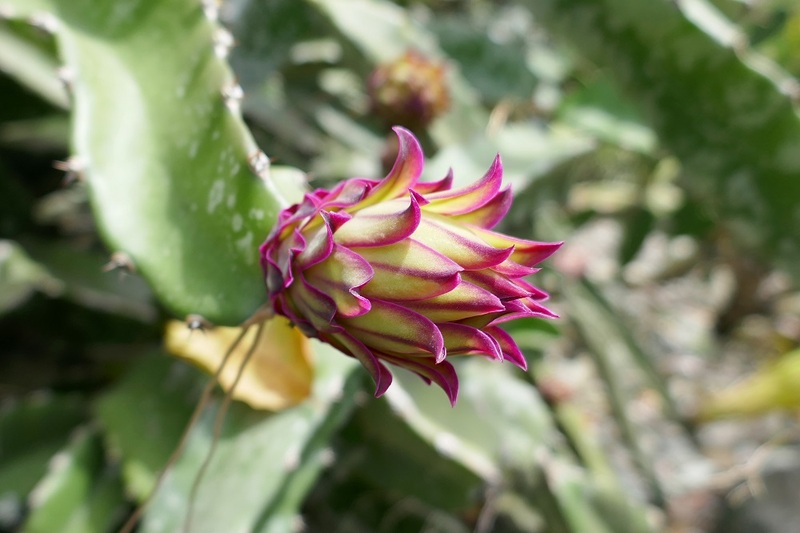 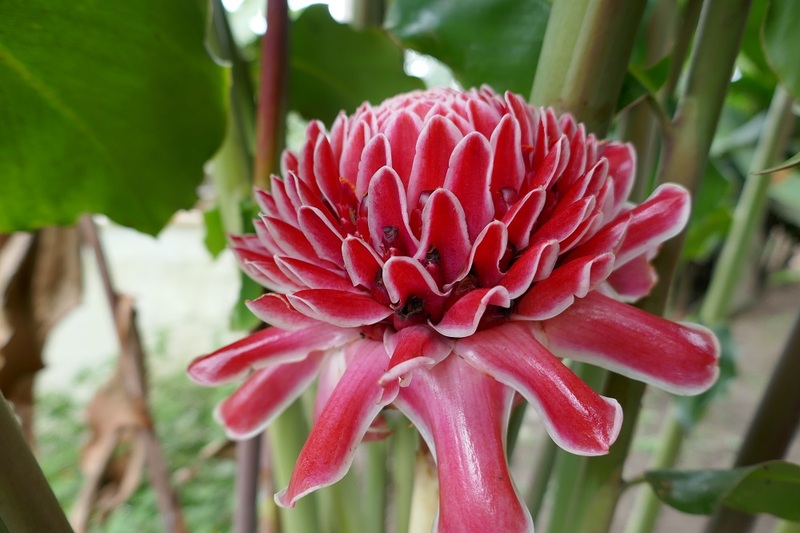 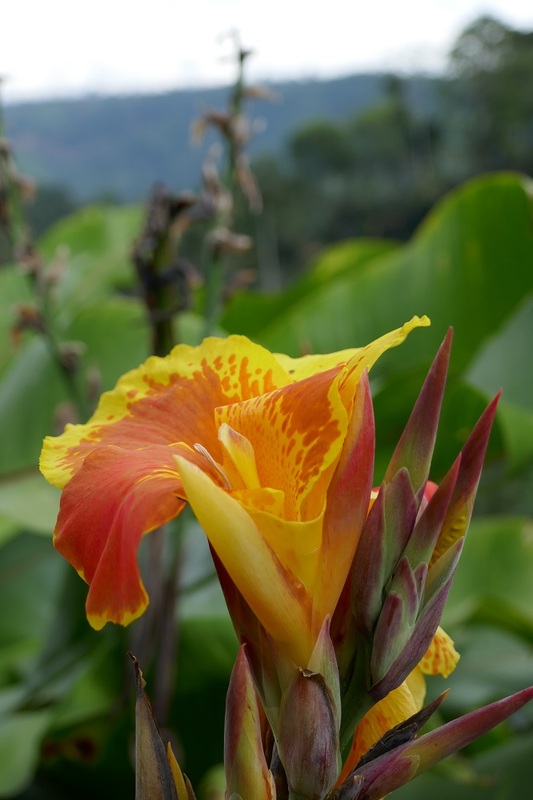 To learn more about the flora and fauna of the region, we visited the Quindío botanical garden near Calarcá. 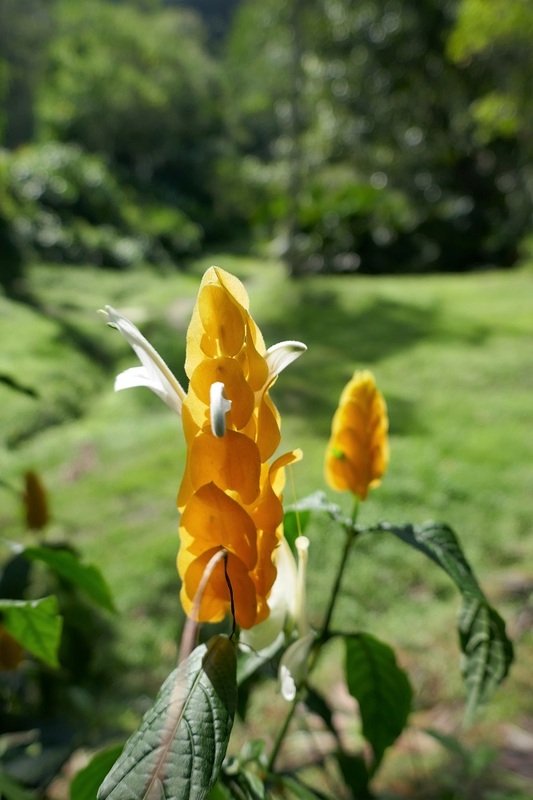 The garden is a successful conservation effort in which a former coffee farm was replanted with a huge variety of native trees and shrubs. 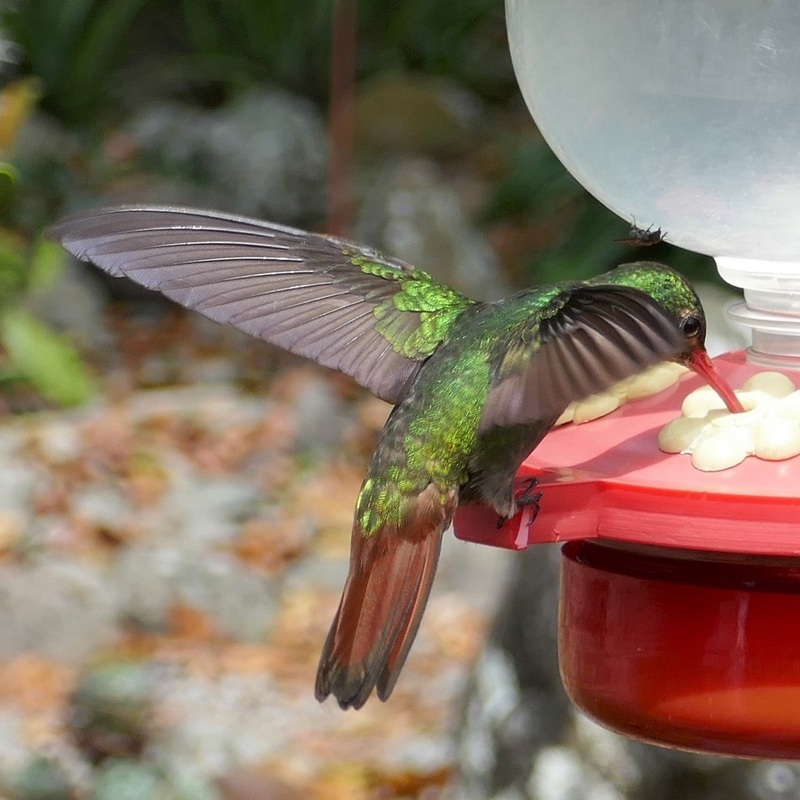 The effort so far has increased the diversity of the bird population from 90 to 170 species, including many colorful hummingbirds. 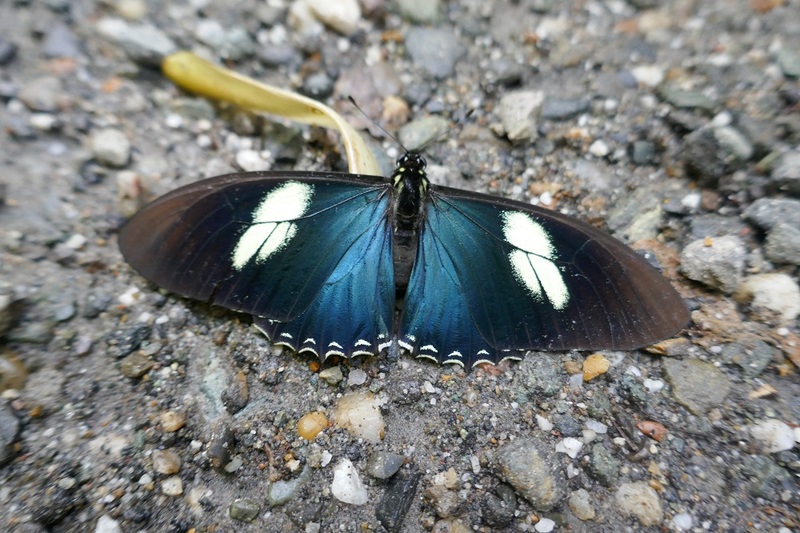 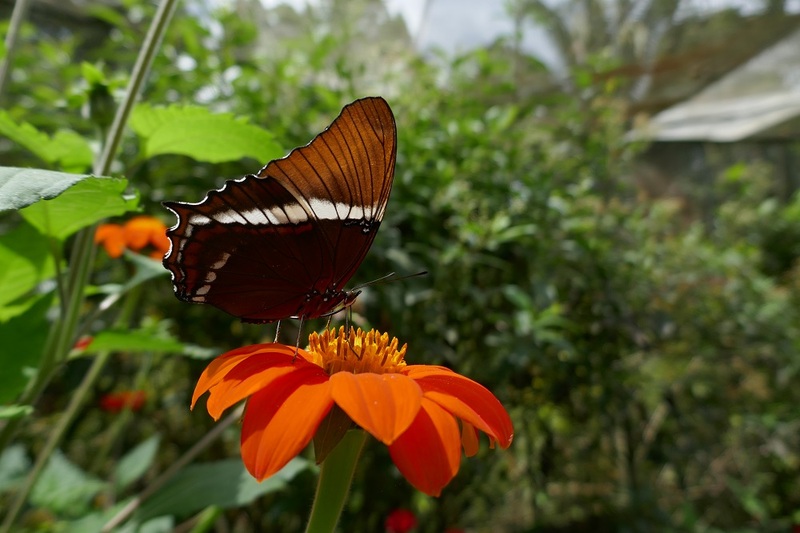 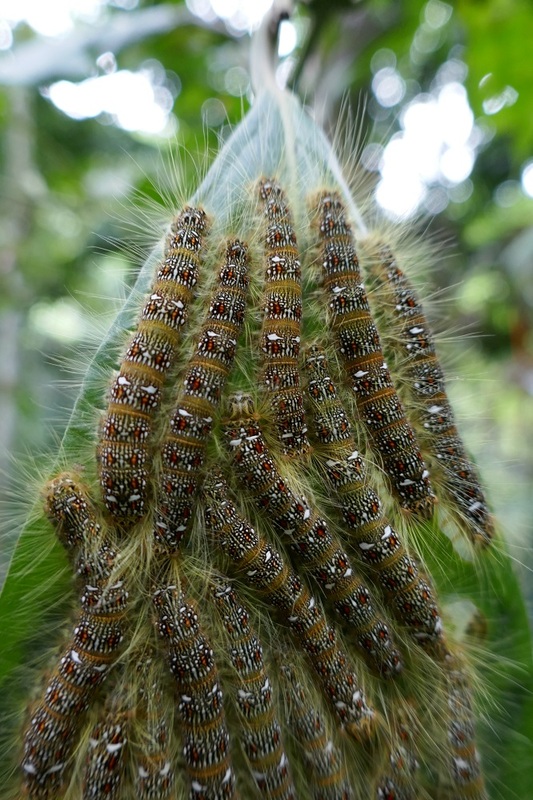 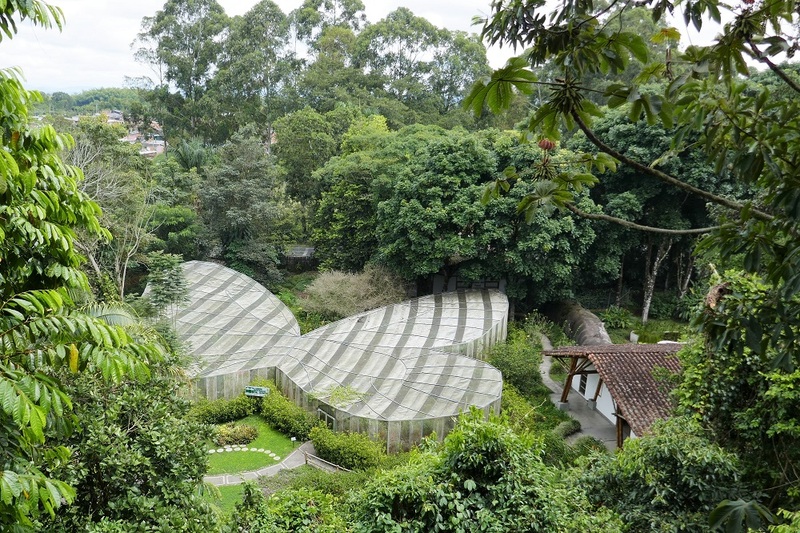 The garden has a mariposario (butterfly house) in which they maintain the different and specific plants that each butterfly uses to lay its eggs. 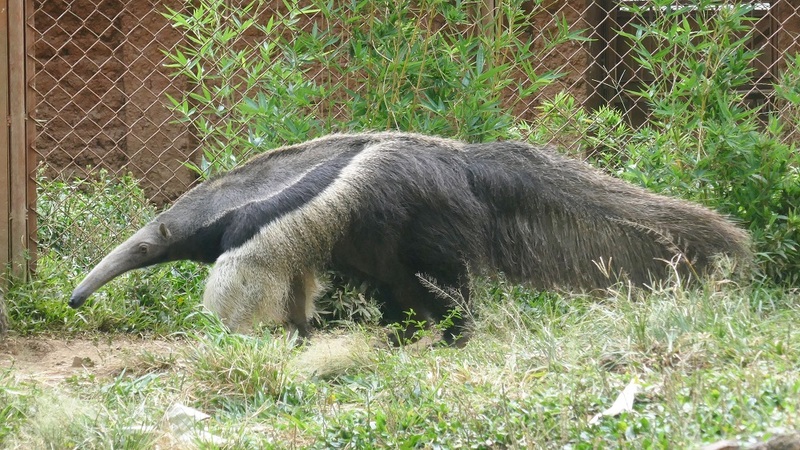 We also visited the zoo in Cali, where we saw our first anteater – a large, toothless creature with a showy coat and a grand plumage-like tail. 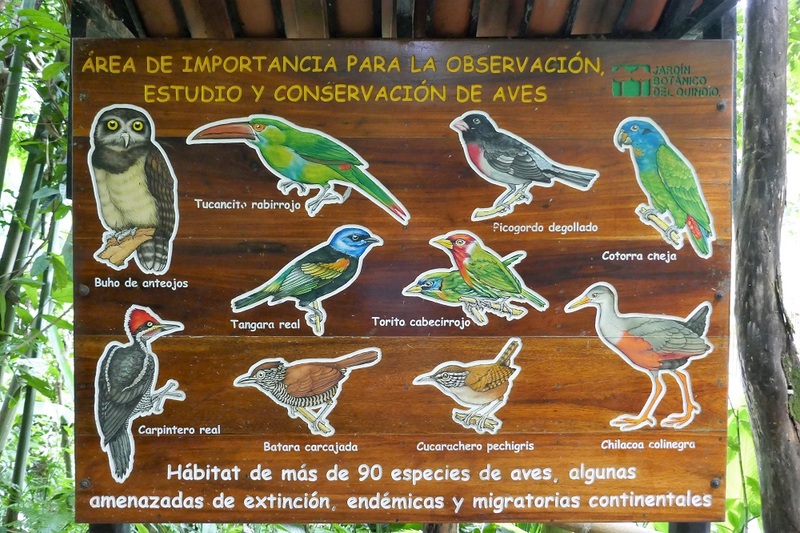 We were impressed with the zoo, which is operated by a private foundation dedicated to conservation. 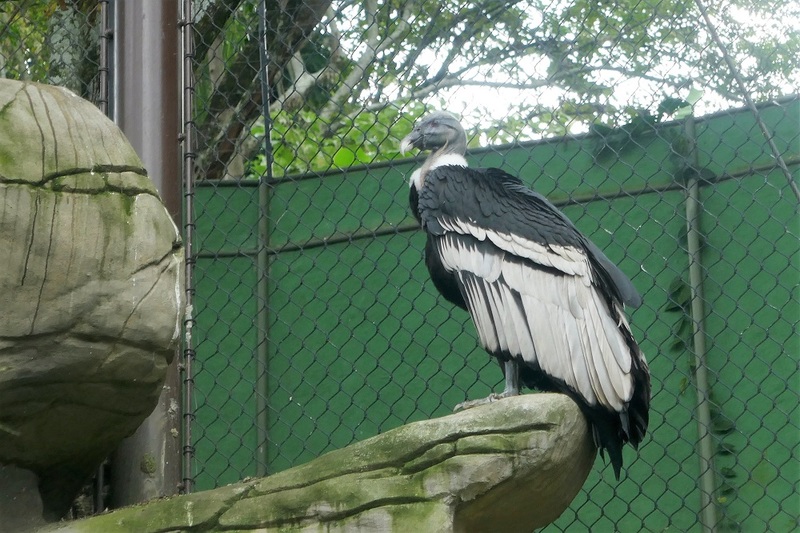 The animals appeared healthy and active, with beautiful coats and plumage. 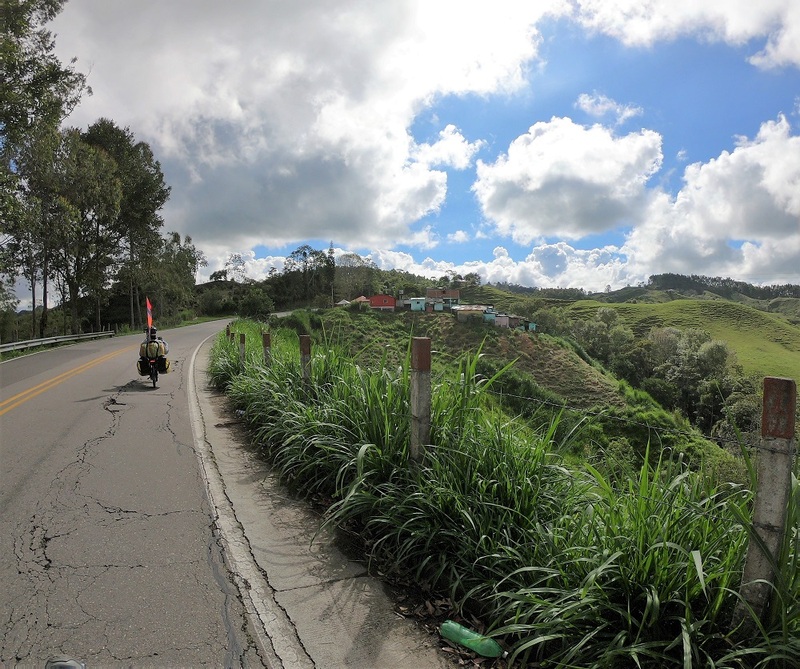 Every day that we rode in Colombia, we were presented with beautiful views. 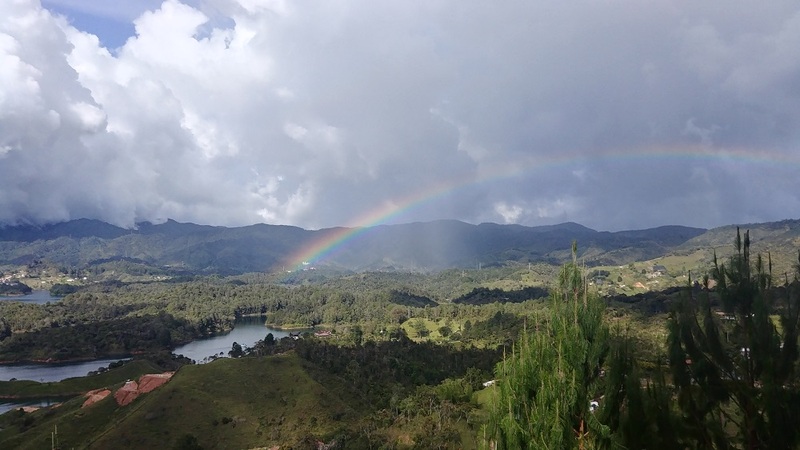 Although we’ve had little rain so far, the partly-sunny skies have been filled with dramatic clouds, and we’ve seen five rainbows in five weeks. 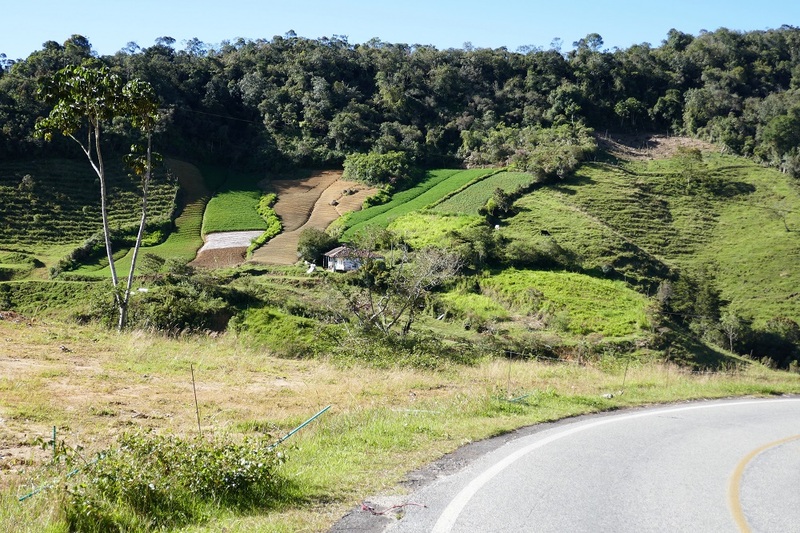 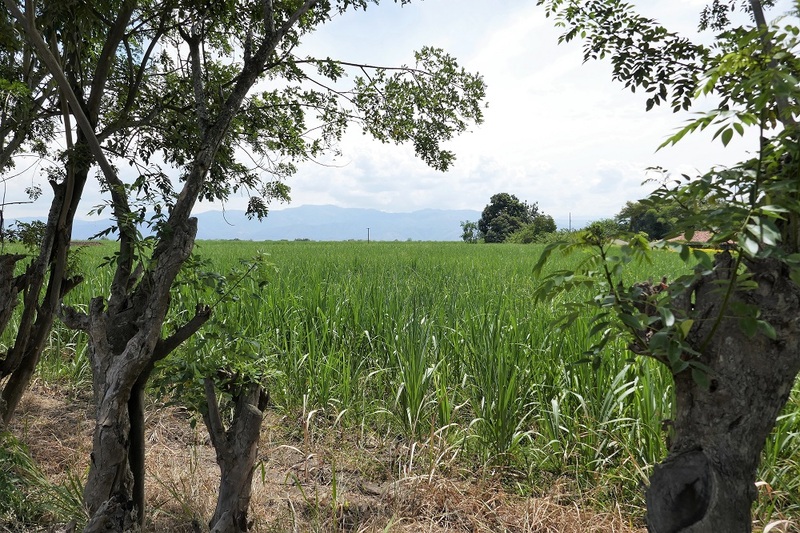 The roads pass through steep terrain covered with lush, green farms and orchards, and through flat river valleys filled with sugar cane. 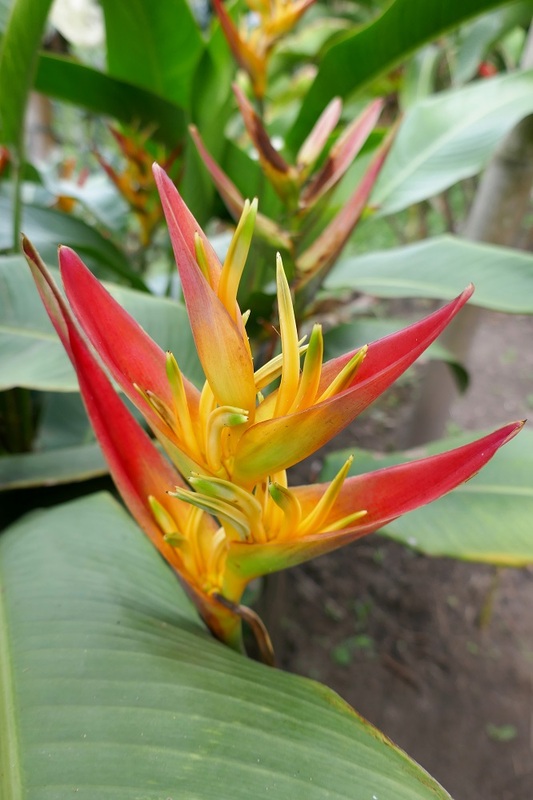 Colorful blossoms falling from trees adorn the roads. 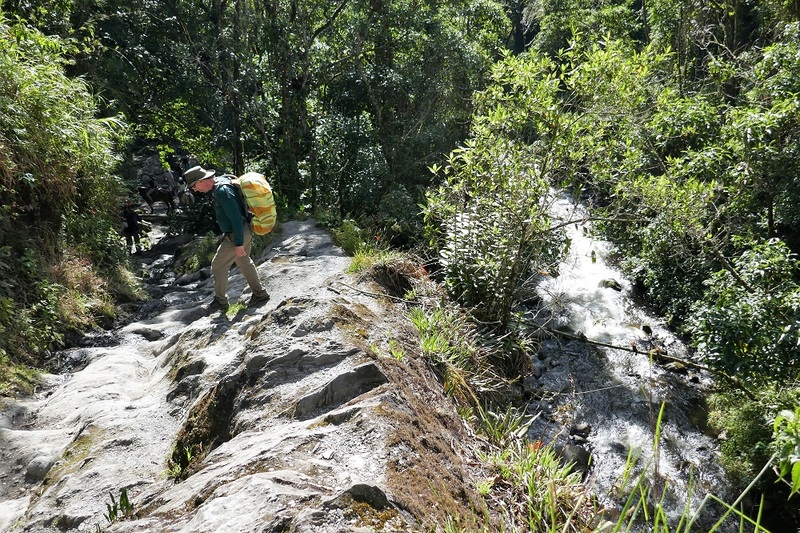 We’ve crossed many rushing rivers, passed waterfalls cascading over cliffs, and cooled off in fountains of spring water shooting from pipes at roadside truck washing stands.